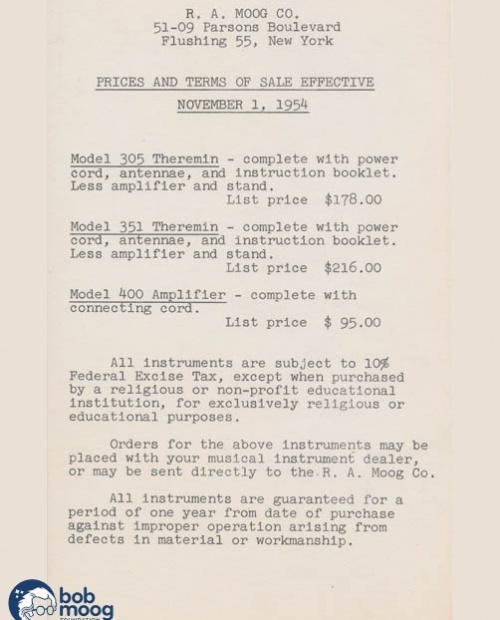 Welcome to an incredible historical resource! 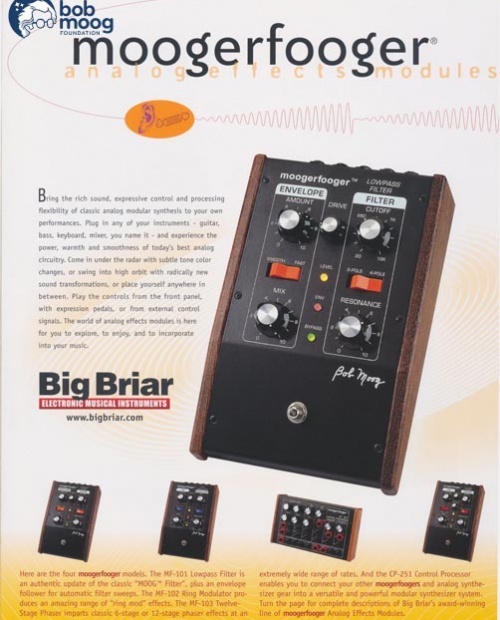 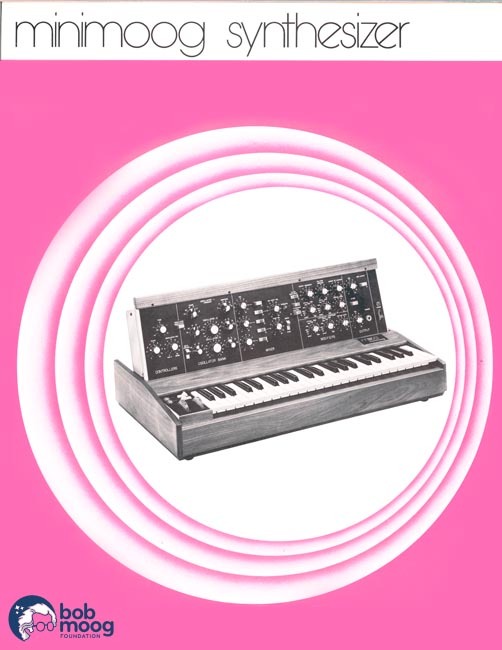 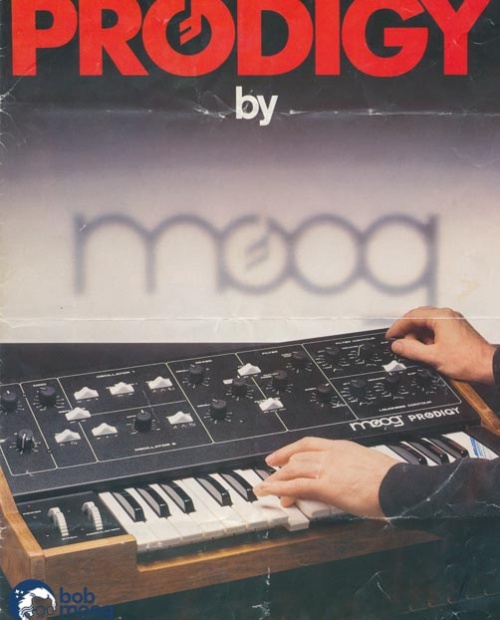 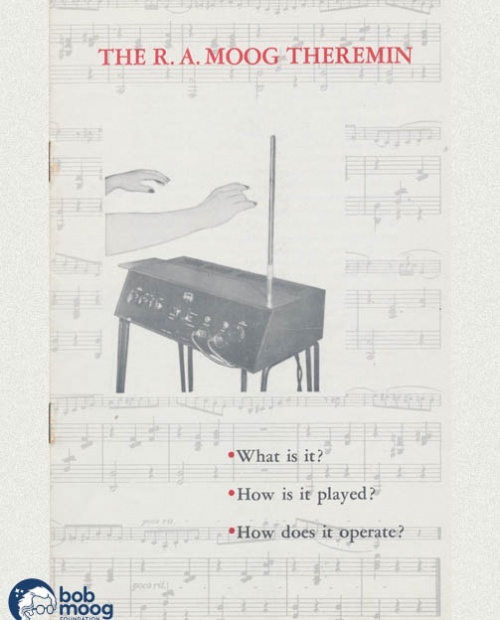 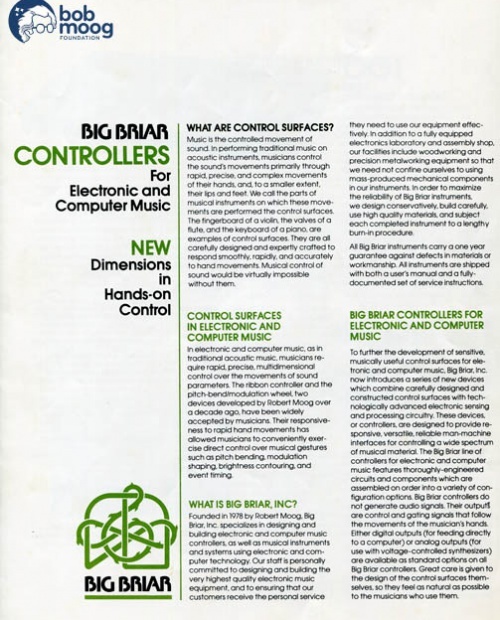 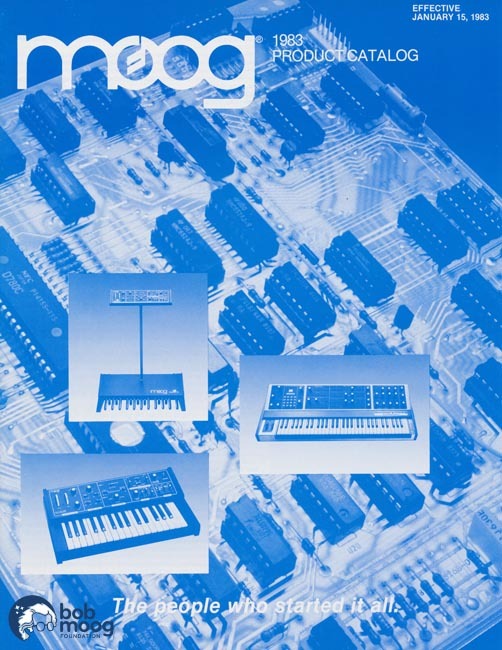 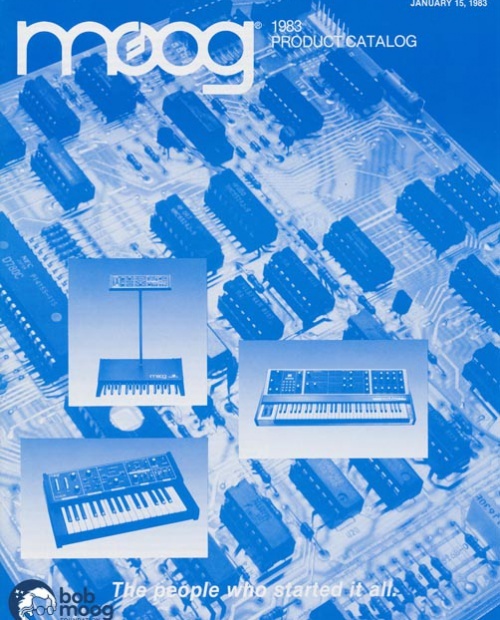 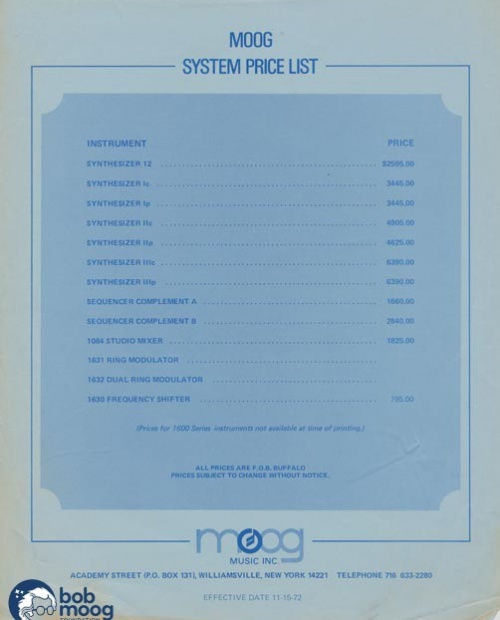 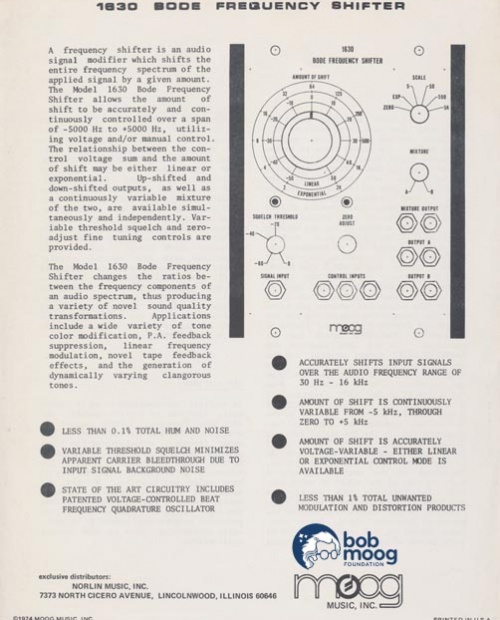 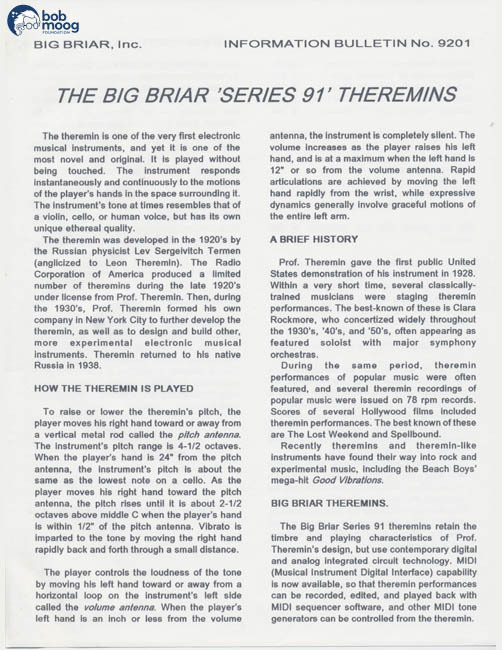 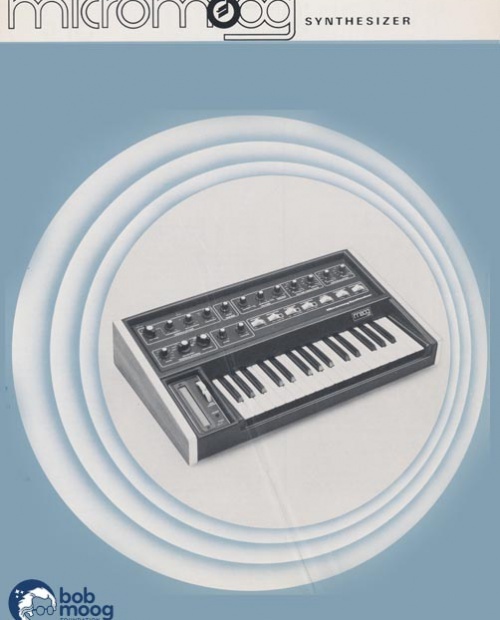 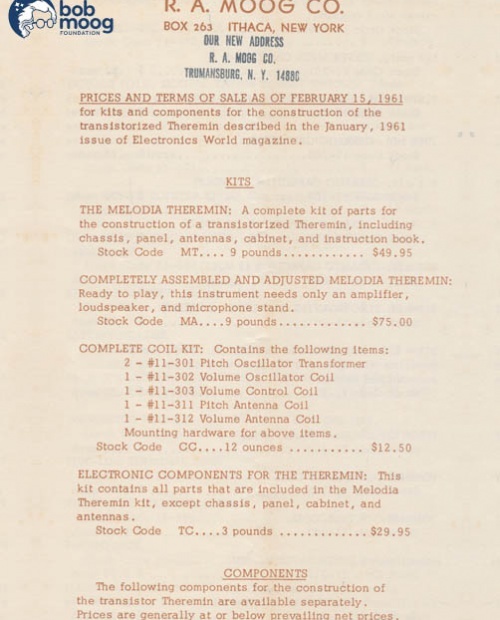 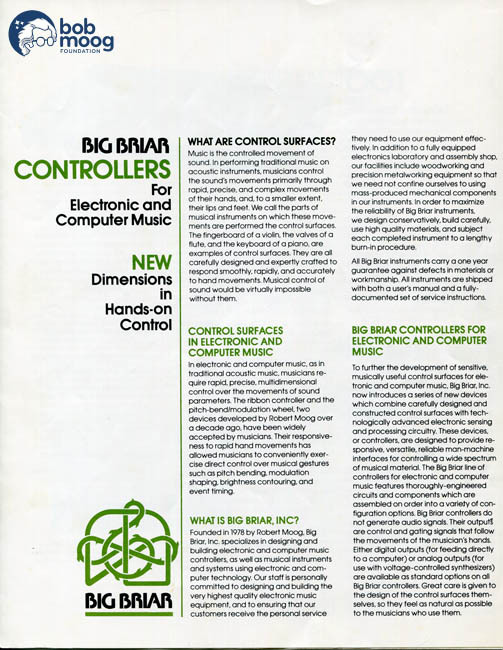 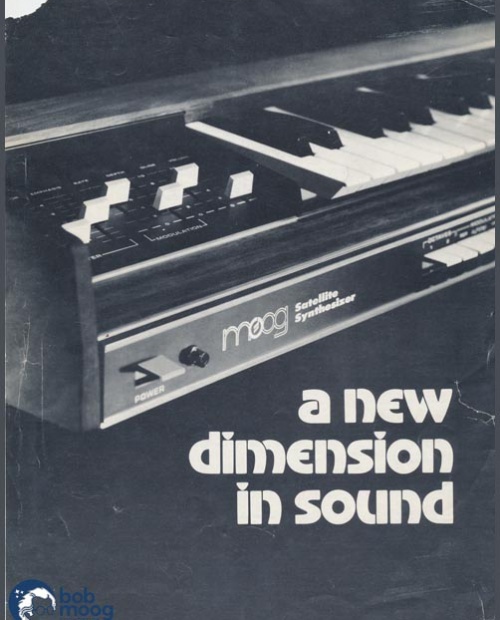 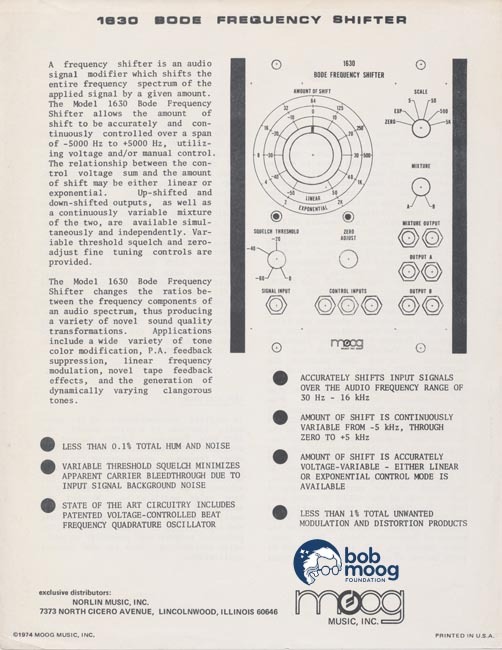 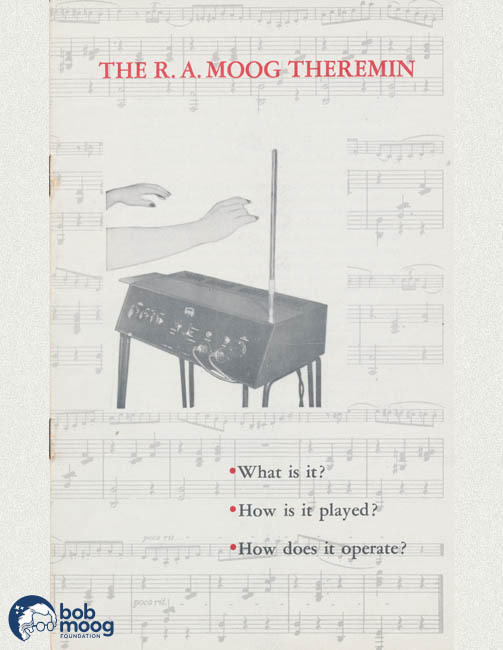 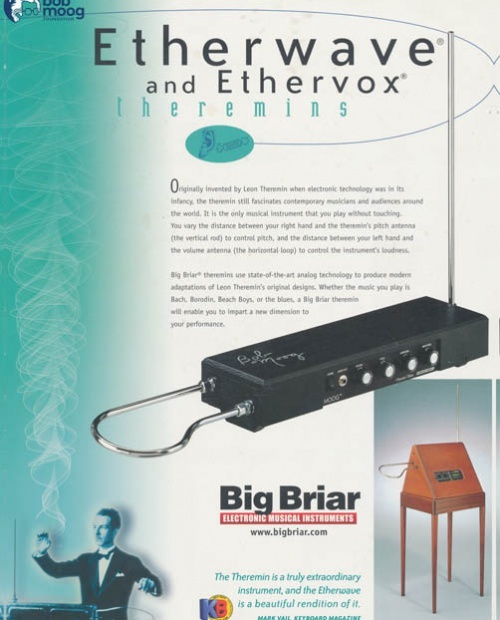 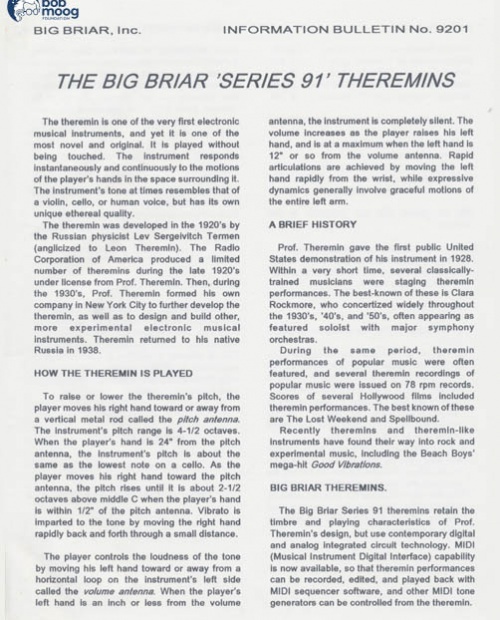 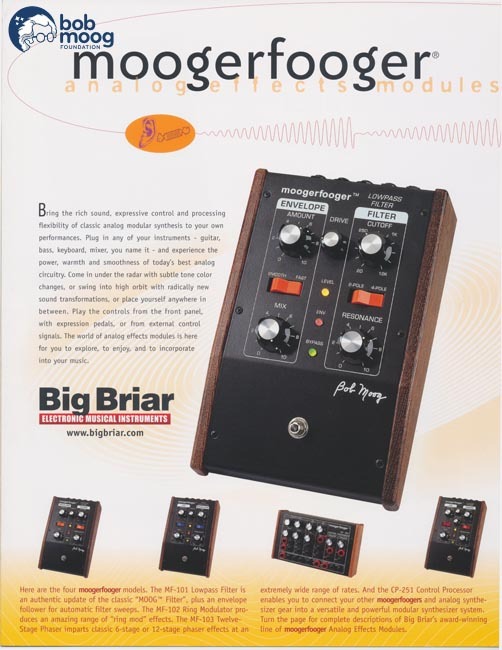 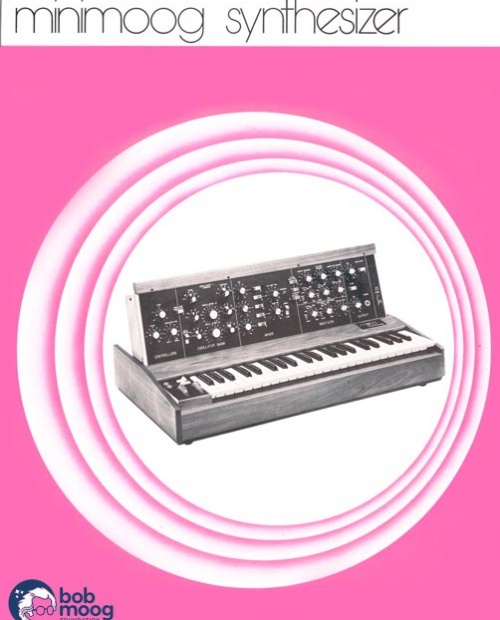 As part of our ongoing effort to share the vast materials in the Bob Moog Foundation Archive, we are proud to bring to a timeline of Moog-related catalogs from R.A. Moog, Co., Moog Music (Buffalo), and Big Briar, Inc. As you will see, these catalogs represent far more than just information about various products. 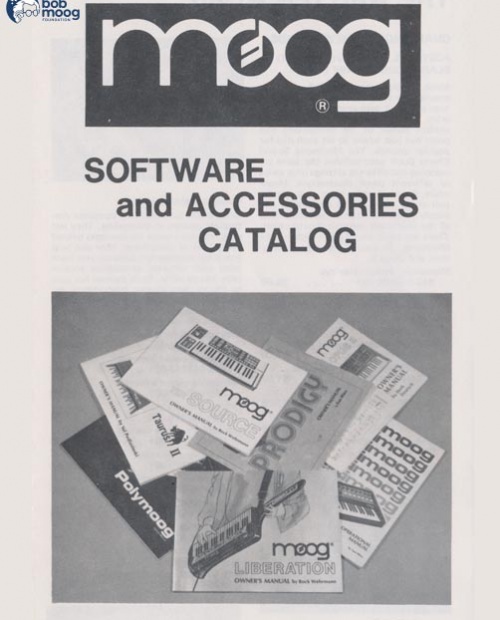 They are historical documents in themselves, marking the evolution and state of a company at a certain point in history. 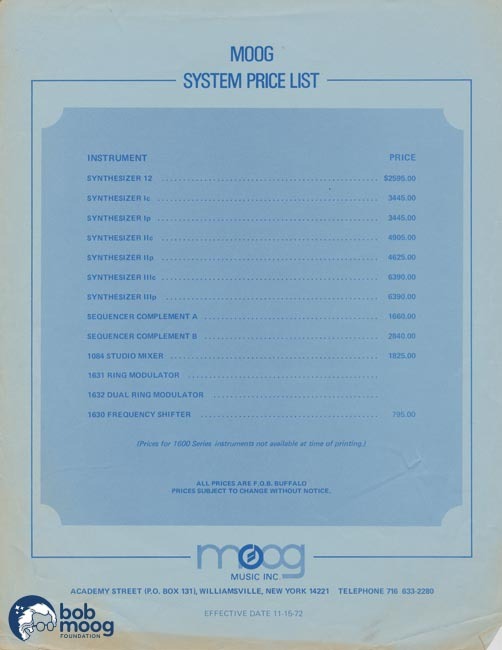 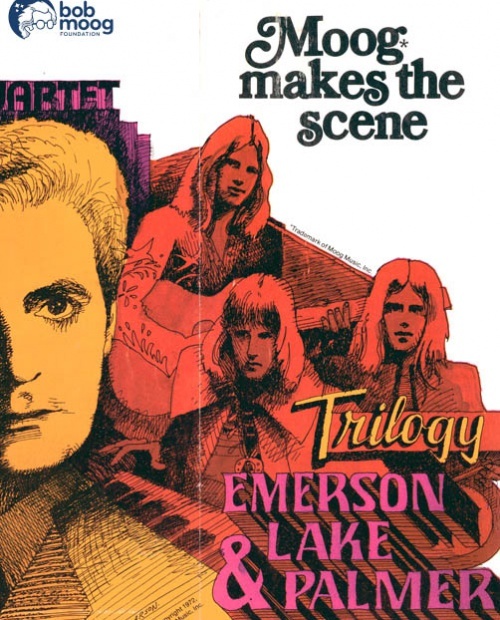 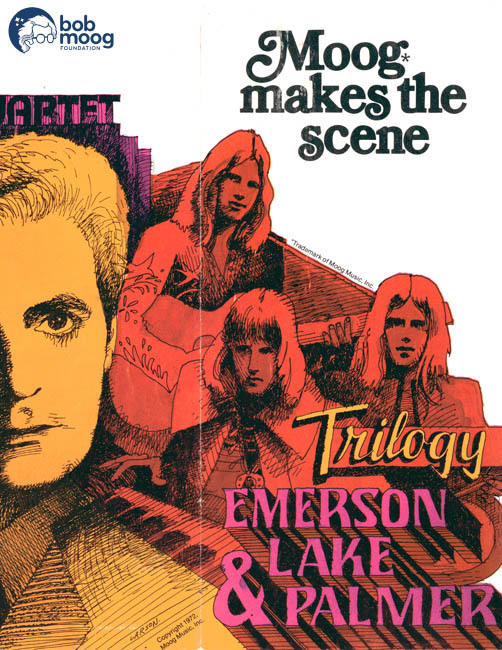 We chose the three companies featured because Bob Moog was centrally involved in all of them, although he did leave Moog Music, Inc. (Buffalo) at the end of 1977. 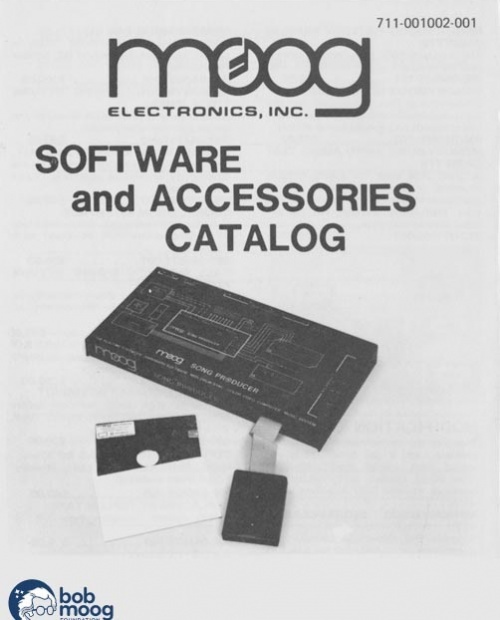 Through these three companies, we can see a fascinating progression in technology and engineering focus. 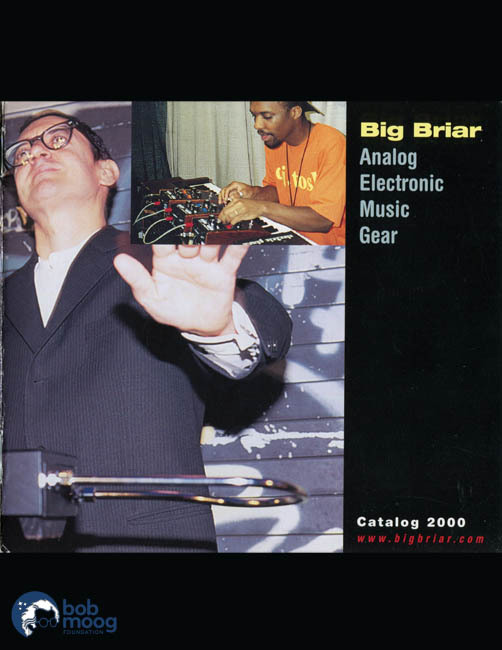 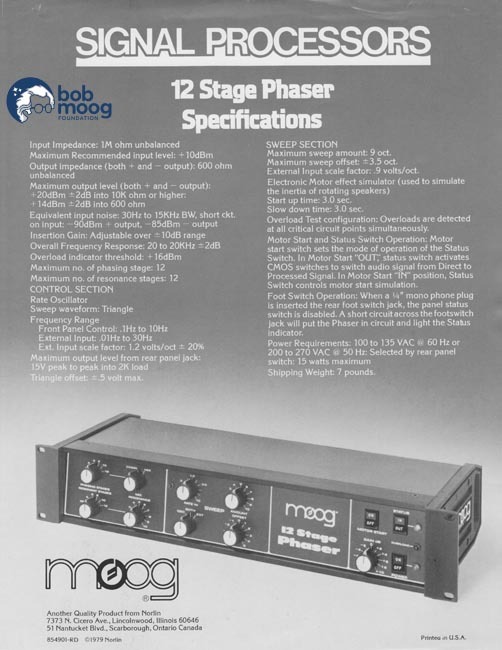 The timeline runs from 1954, when Bob founded R.A. Moog, Co. in his parents basement in Flushing, NY, through 2001, when he introduced Big Briars Minimoog Voyager. 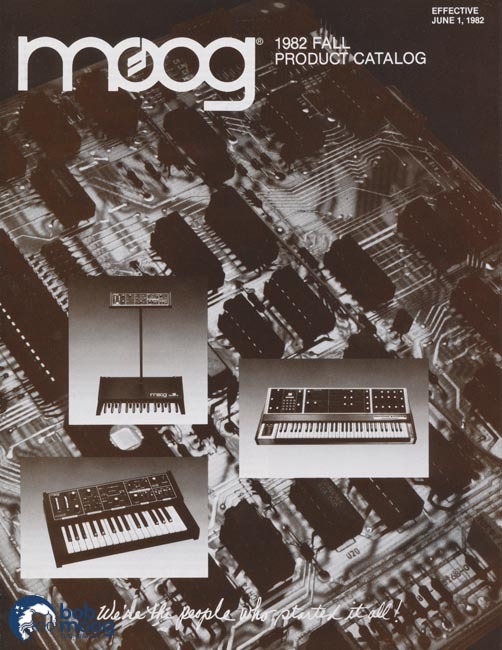 For information on Moog products released after 2002, please visit Moog Musics website for more contemporary offerings. 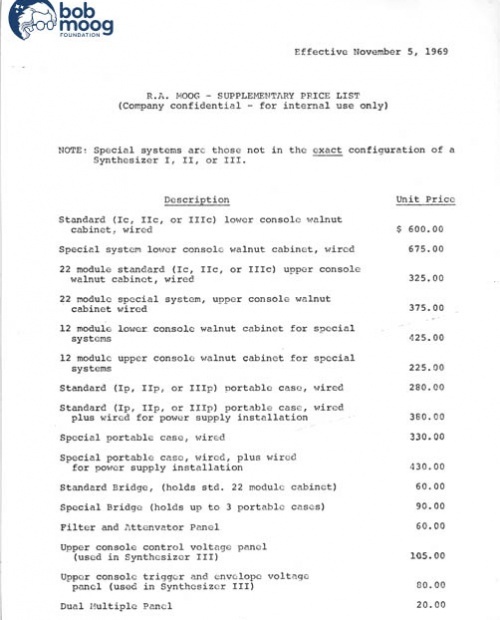 The materials included in the timeline are a reflection of those maintained within our archives. 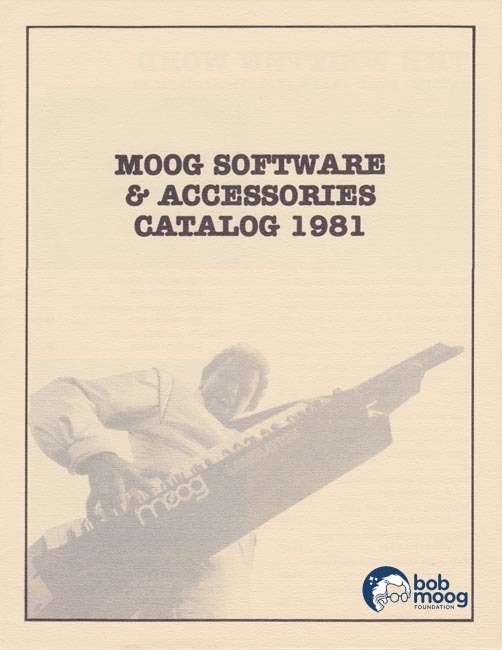 We do not yet have every catalog ever published. 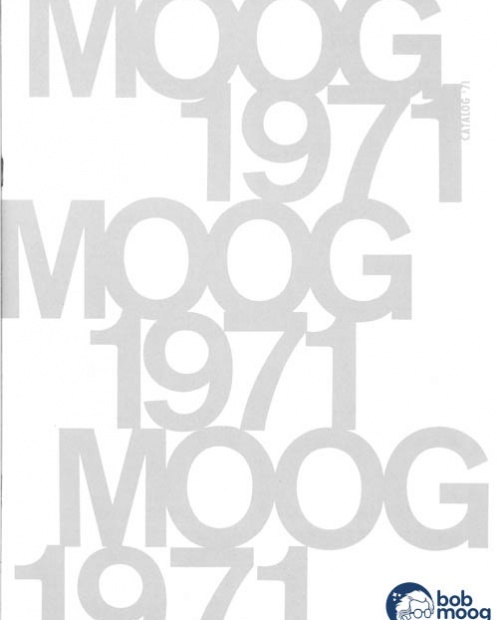 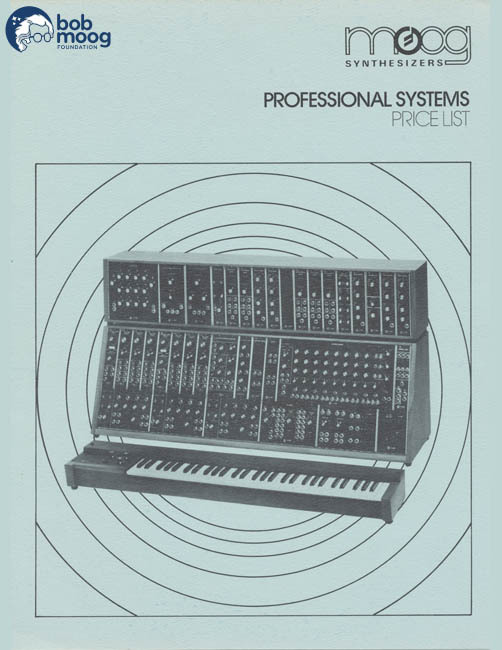 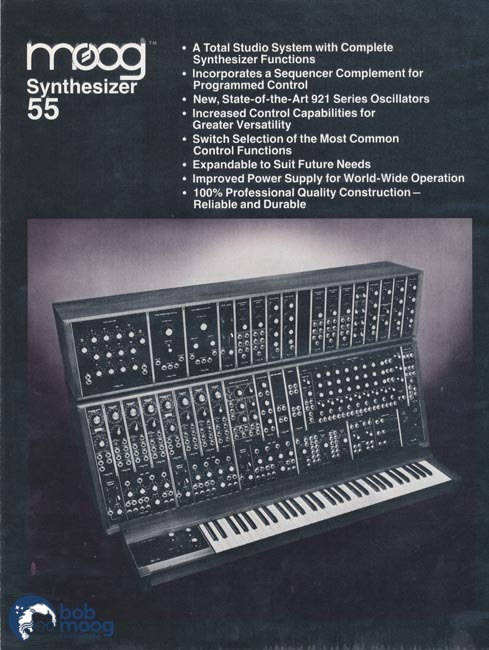 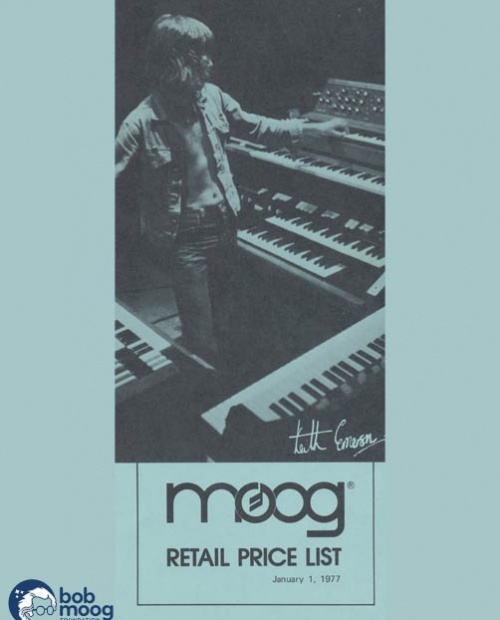 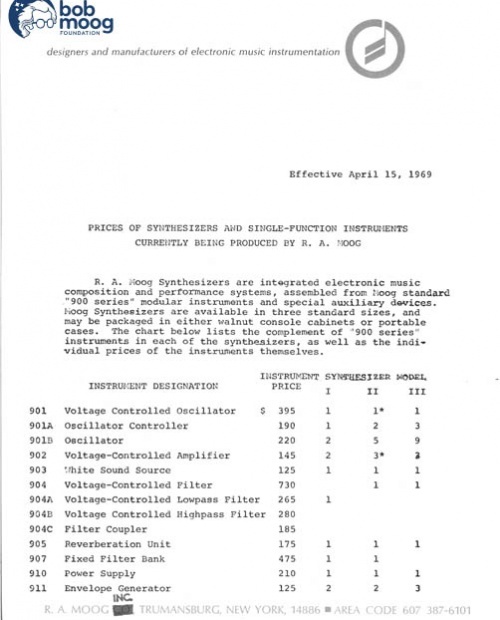 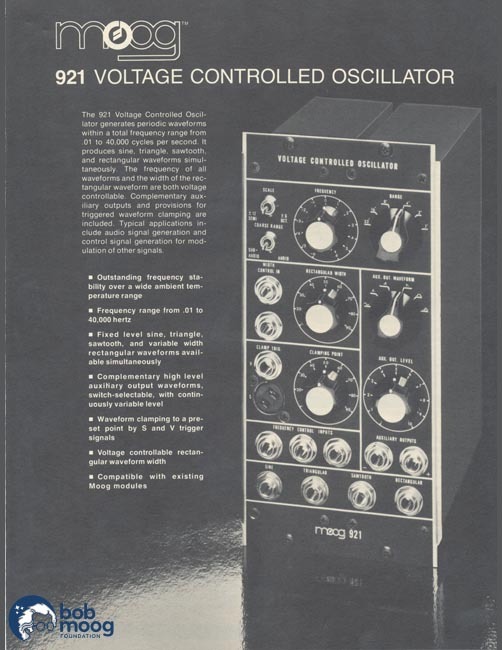 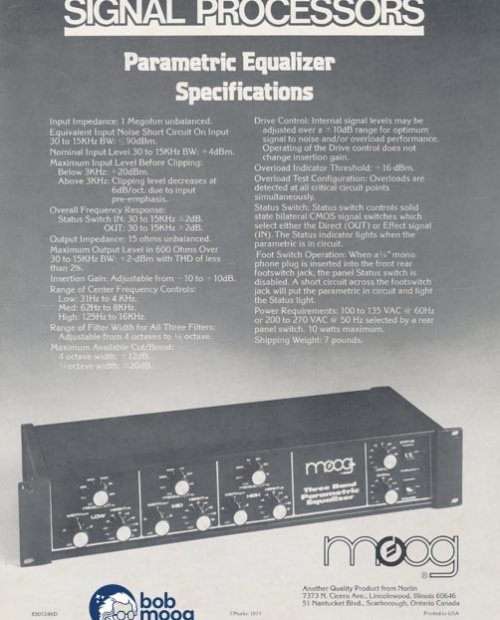 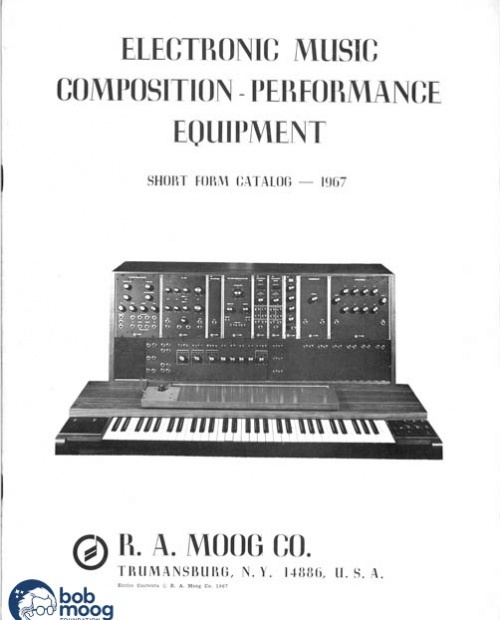 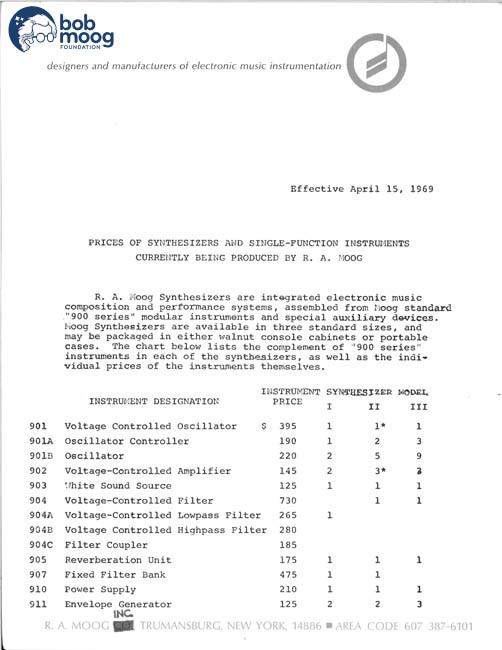 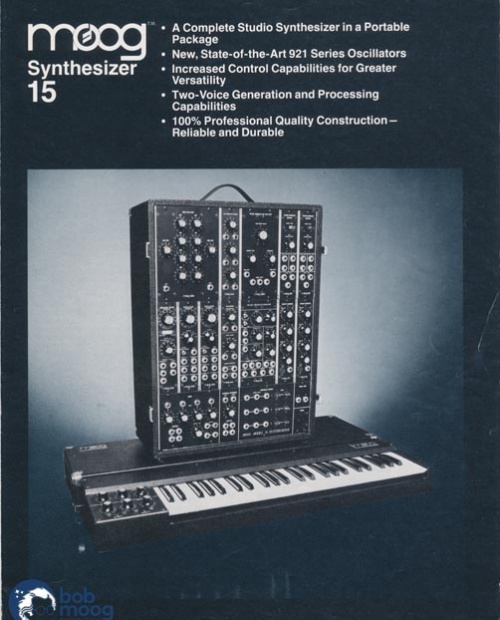 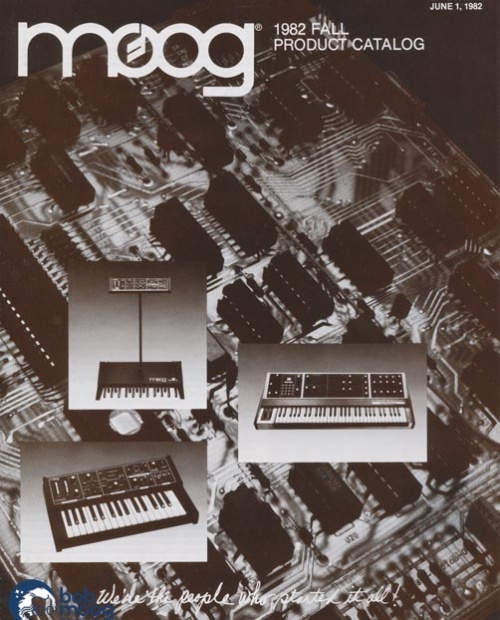 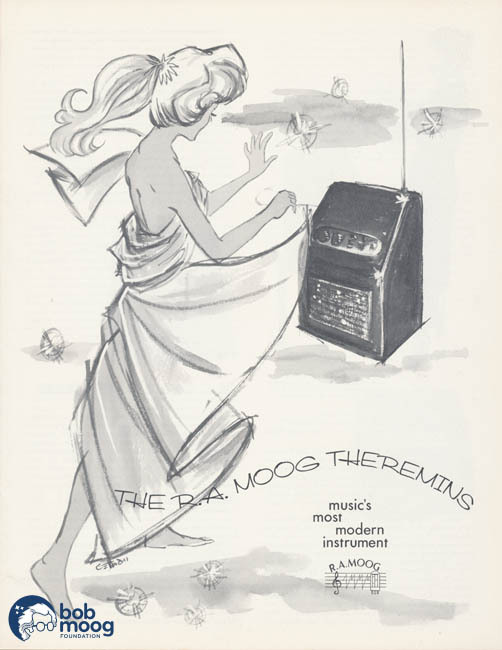 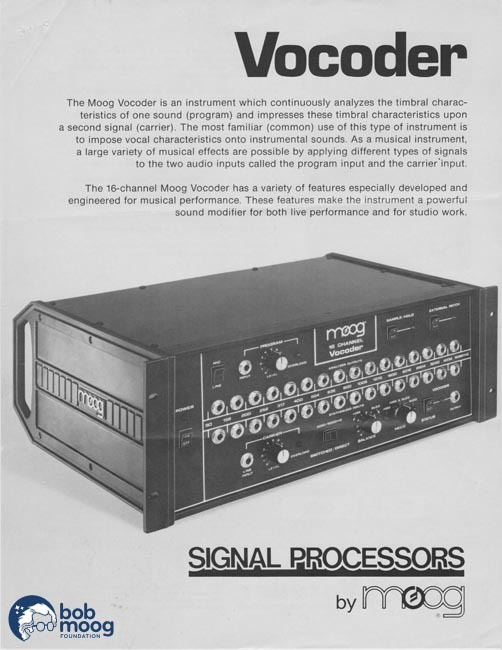 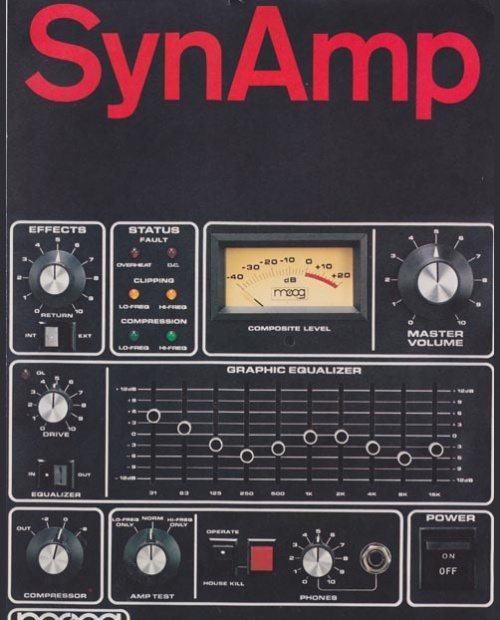 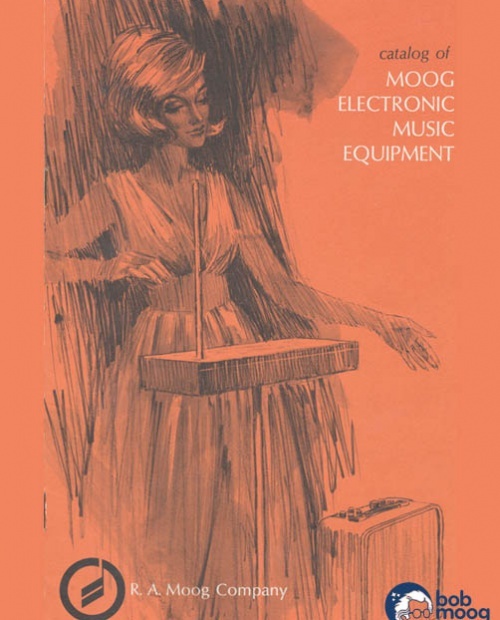 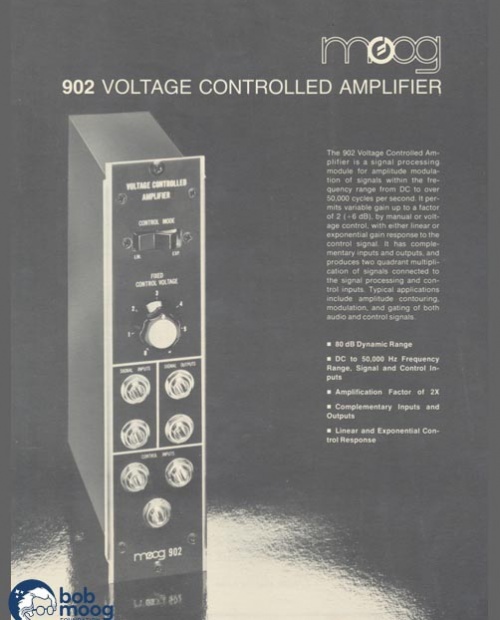 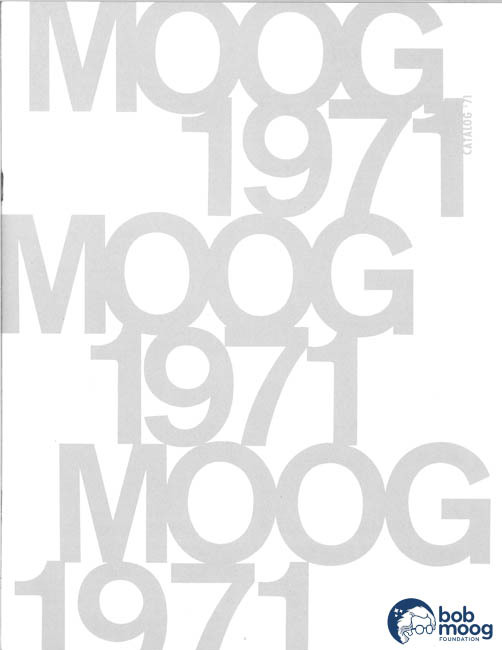 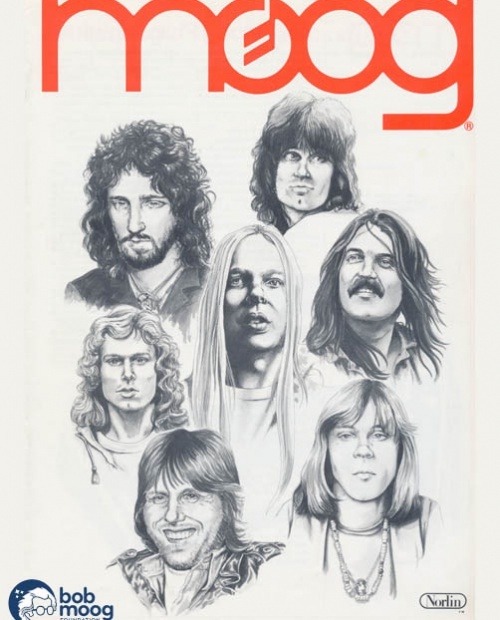 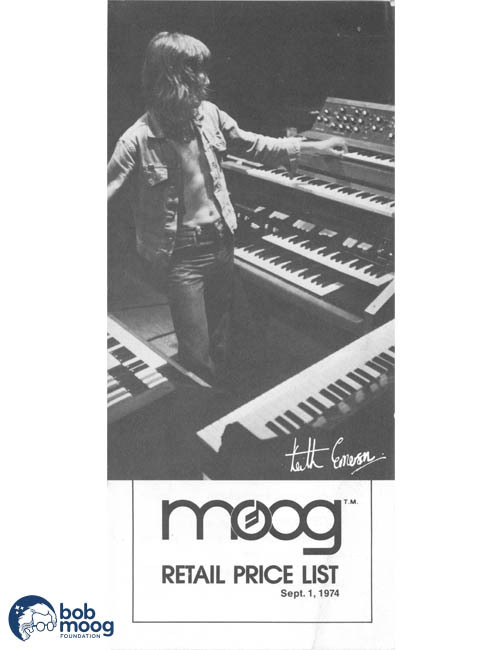 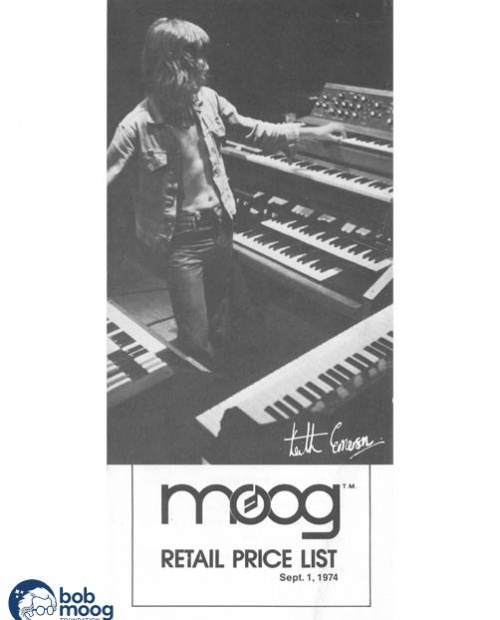 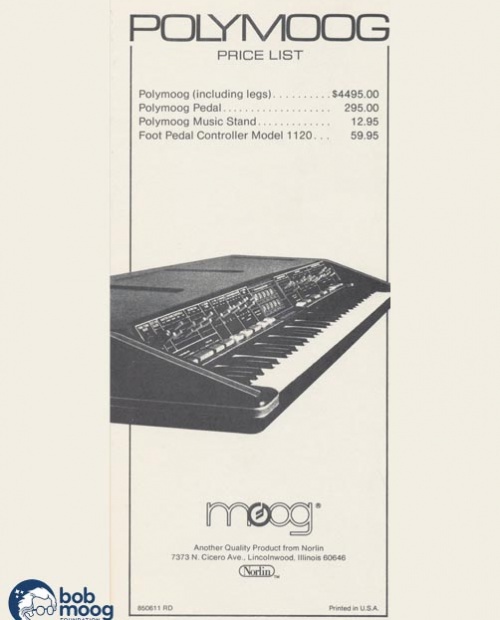 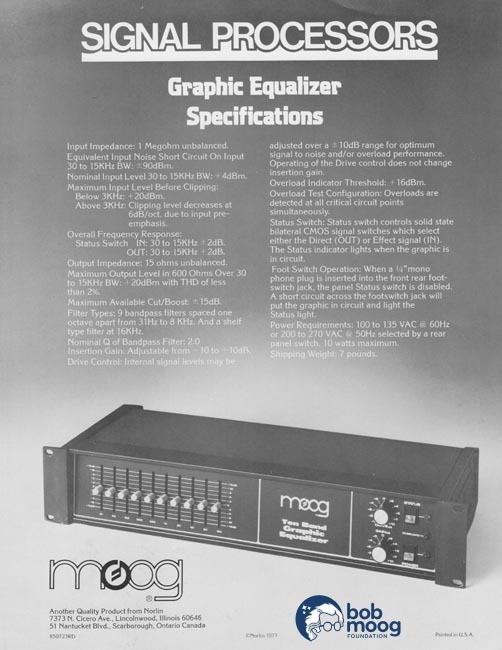 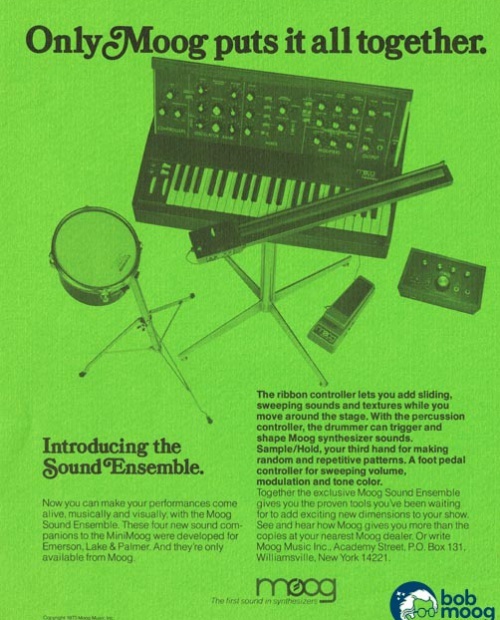 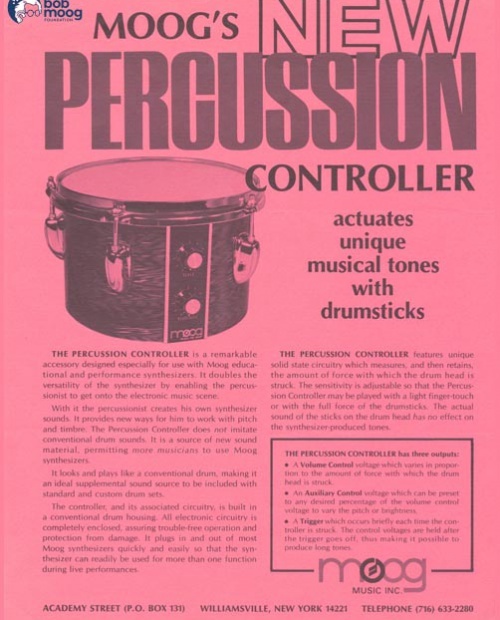 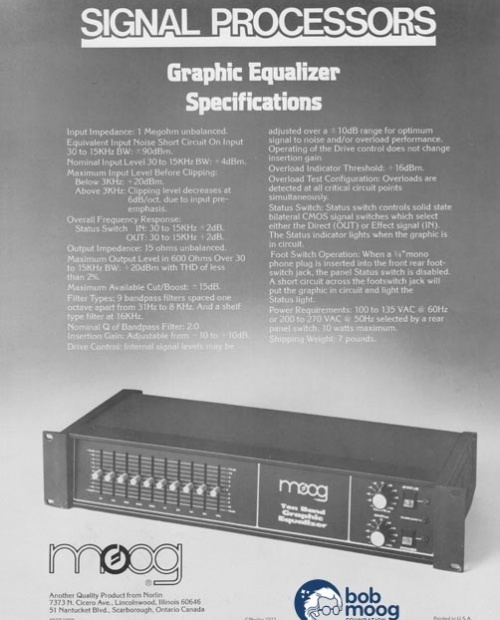 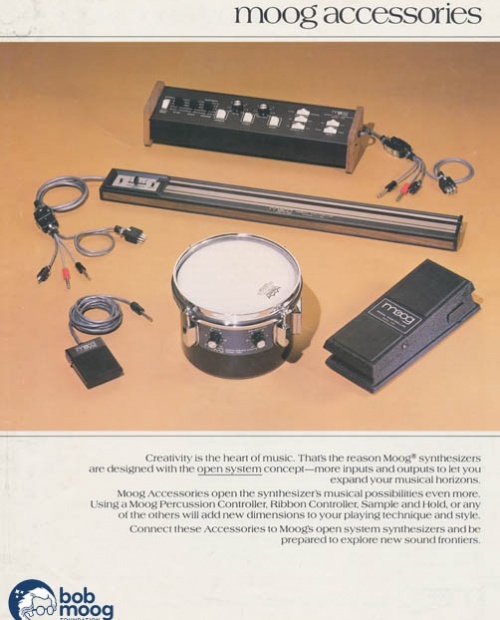 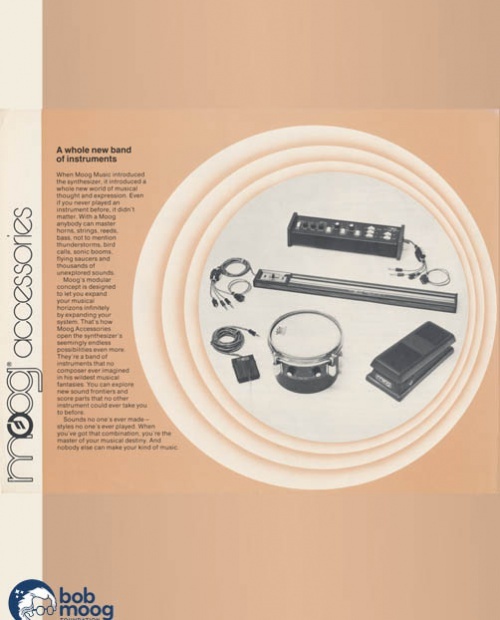 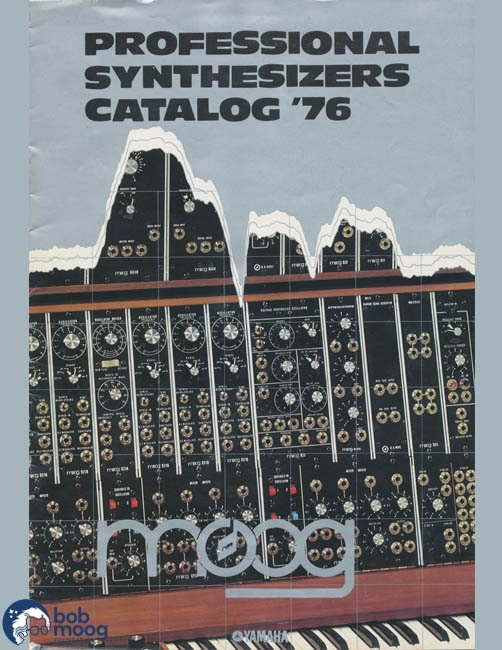 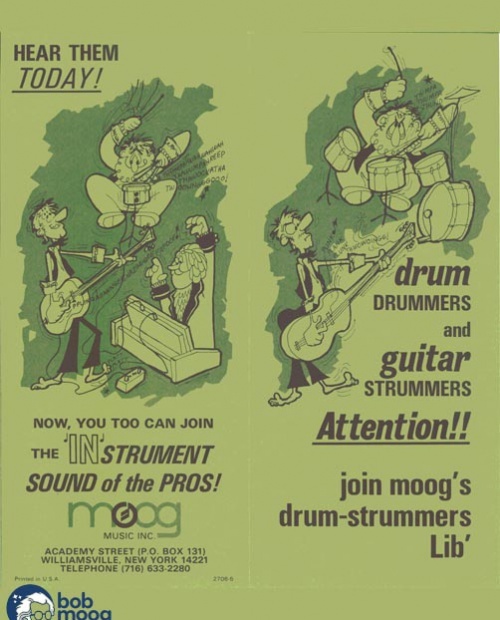 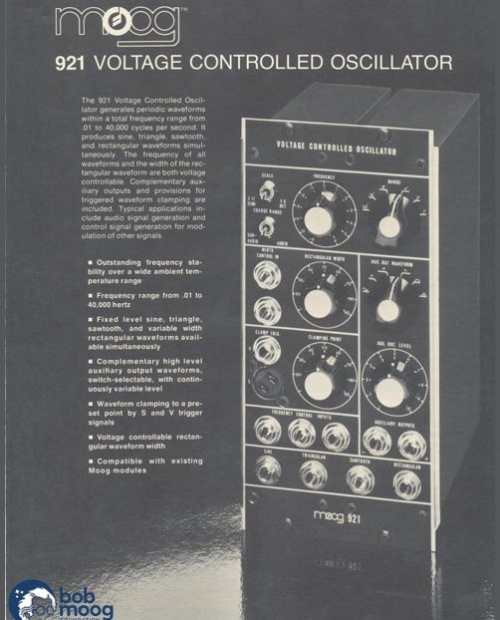 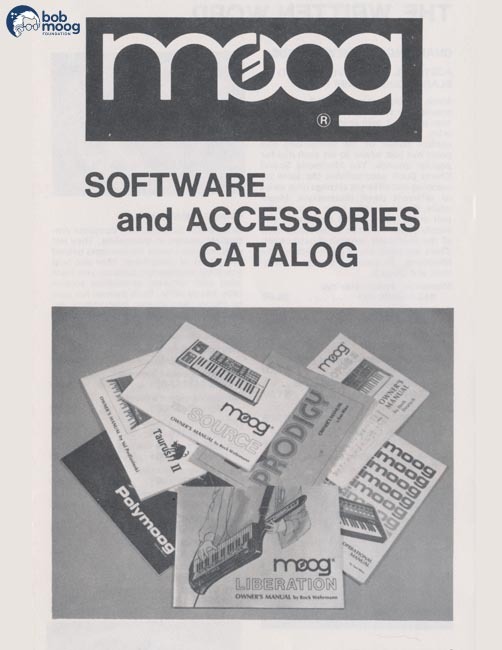 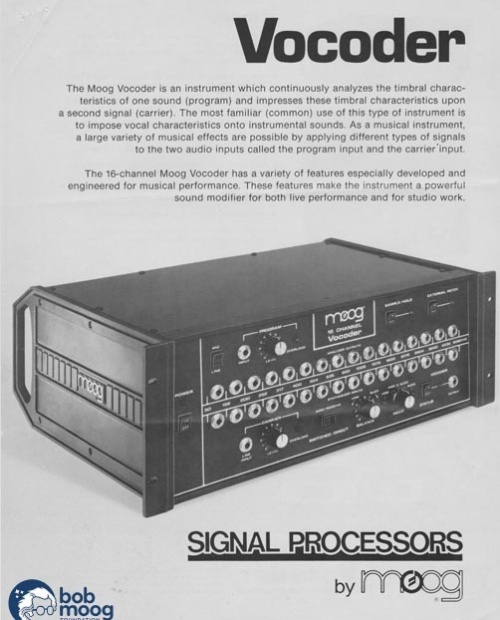 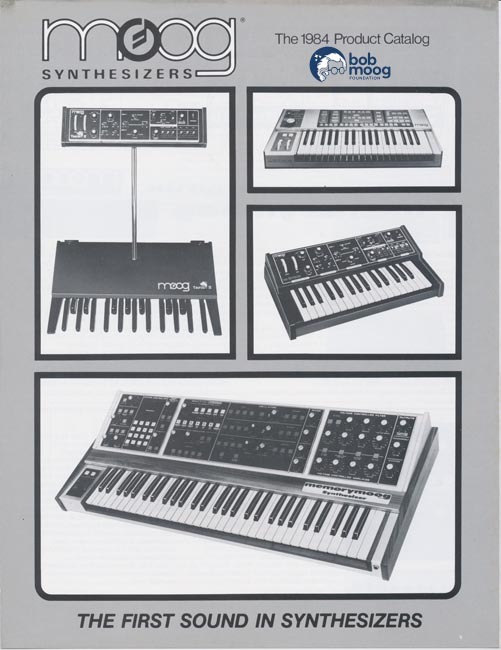 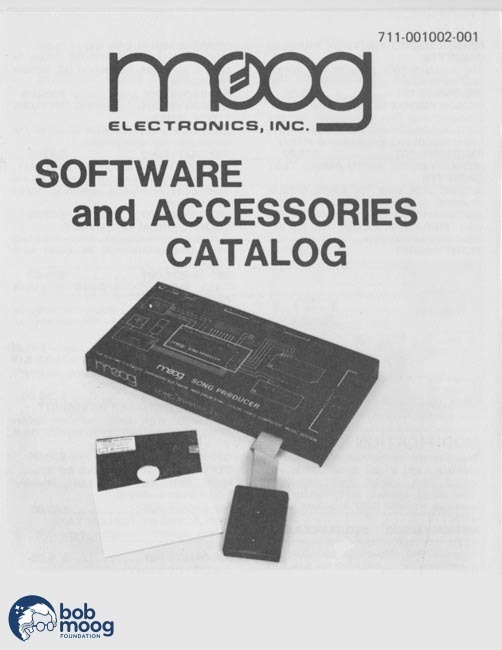 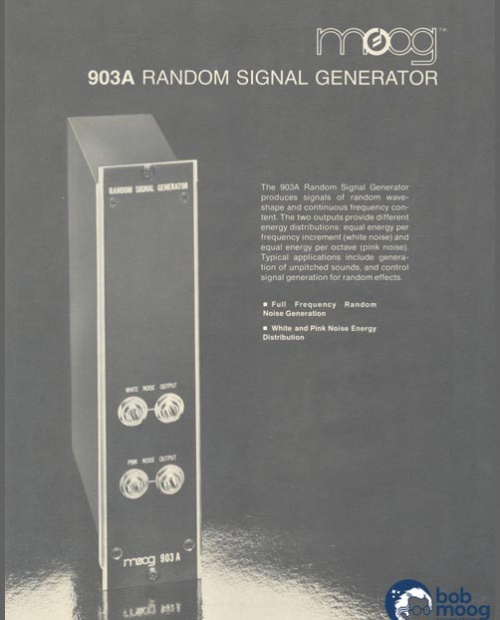 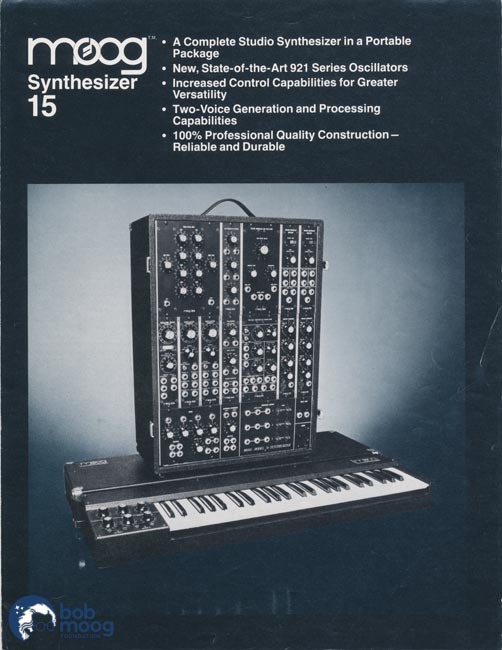 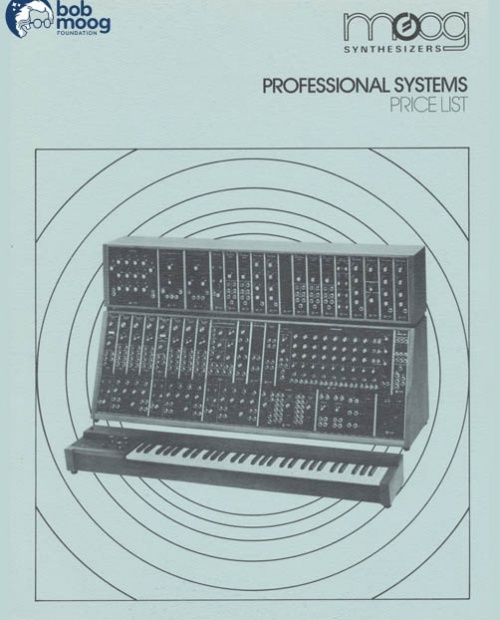 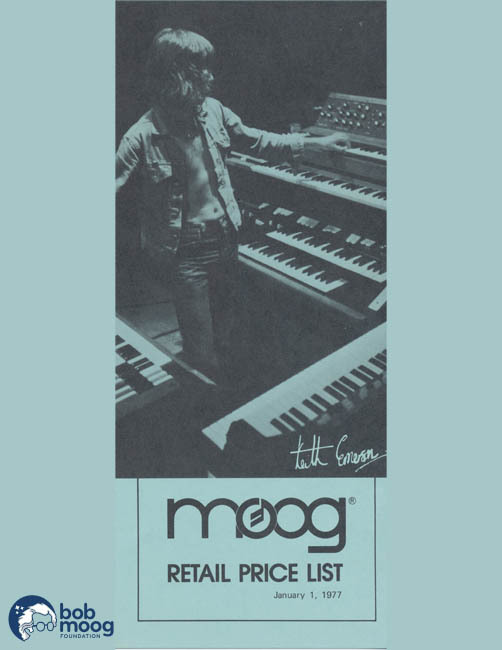 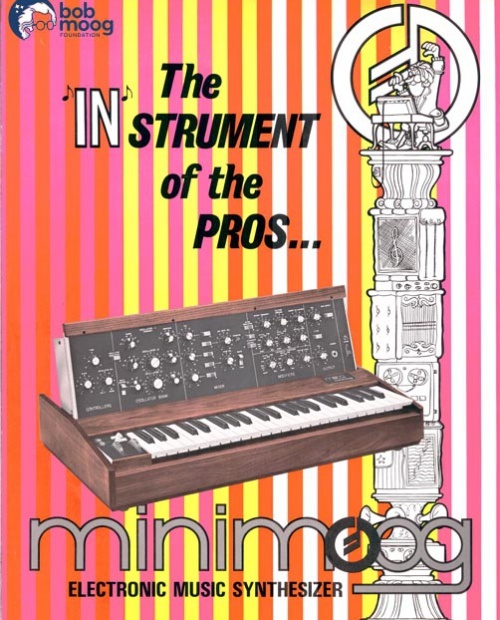 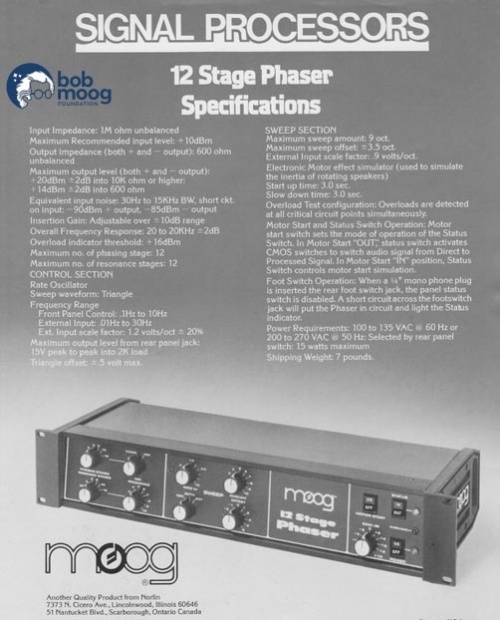 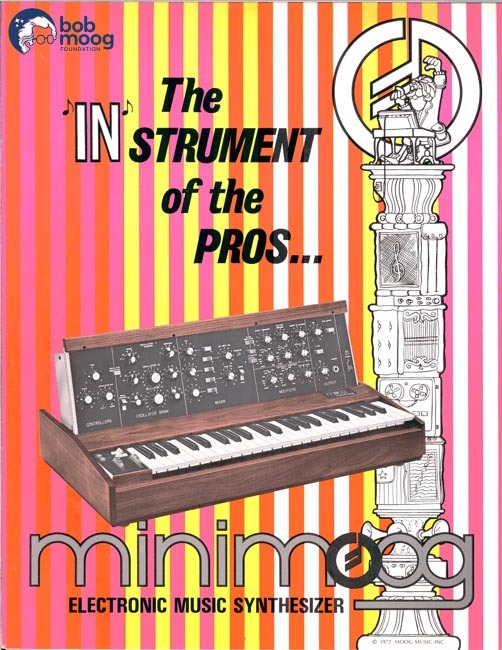 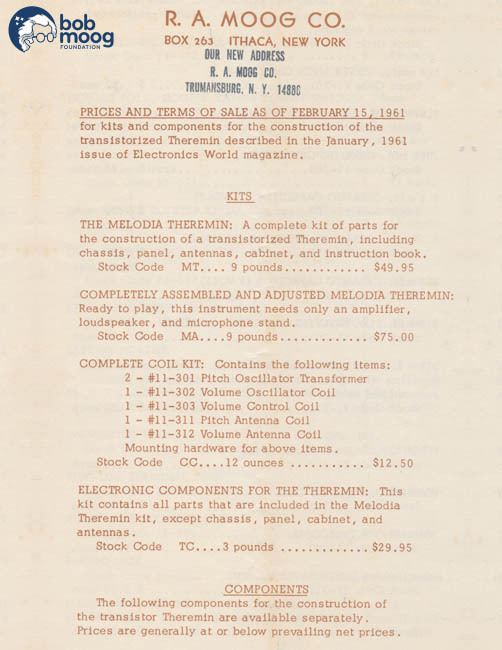 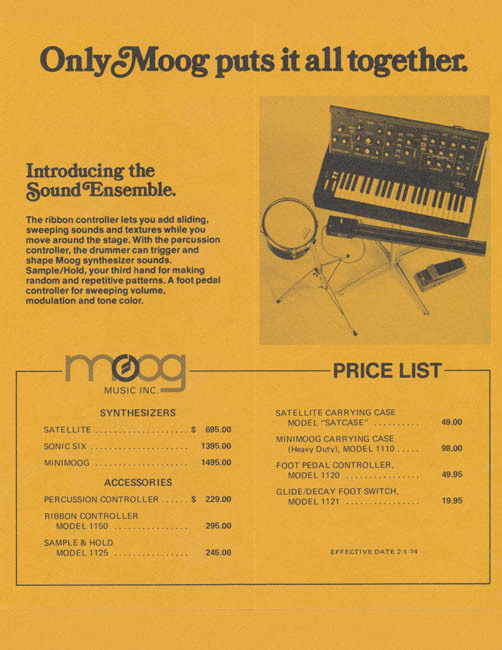 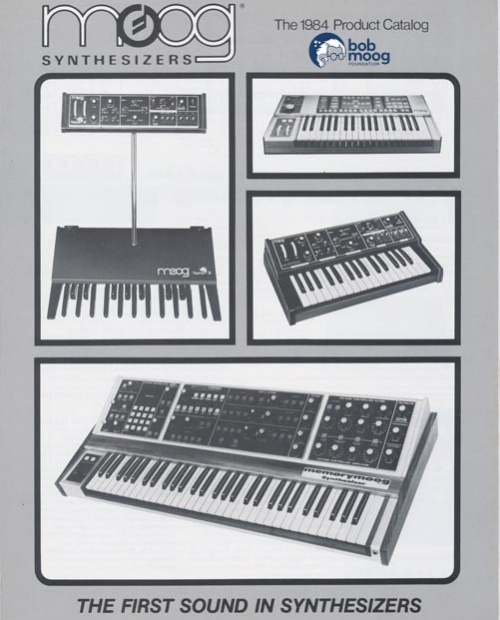 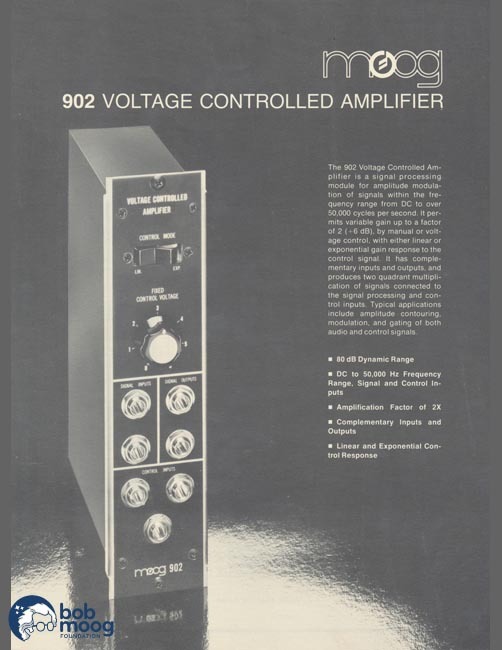 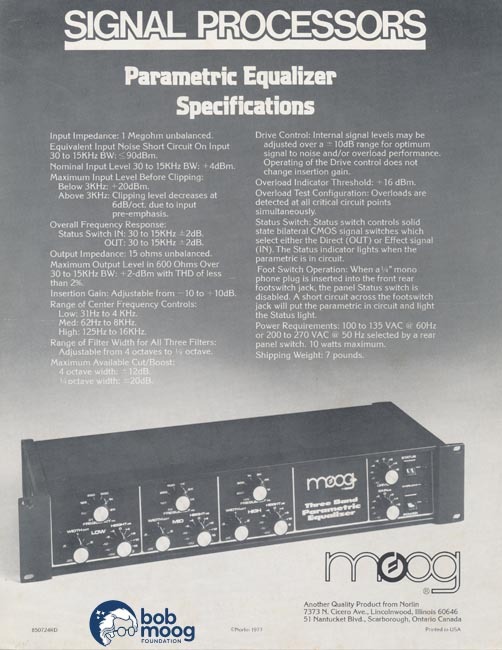 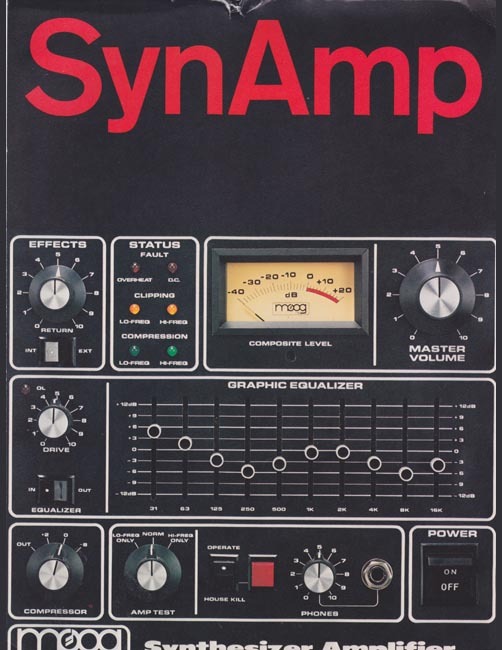 We are missing catalogs for some products, most notably those from the later years at Moog Music, Inc. (Buffalo). 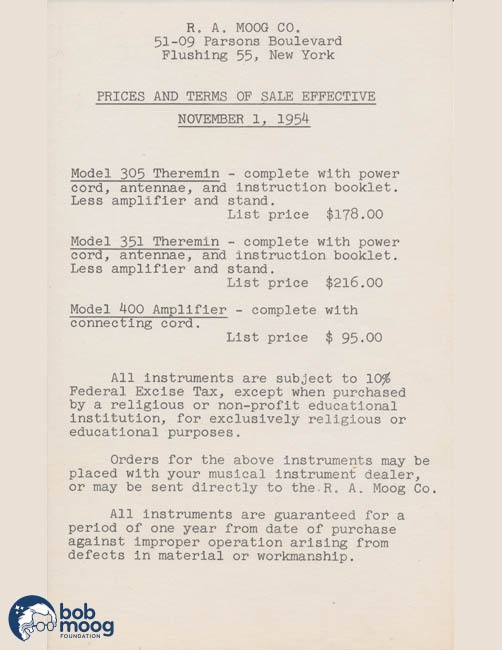 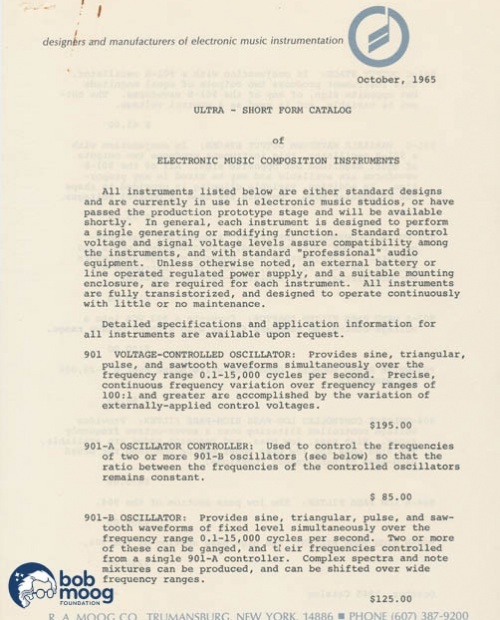 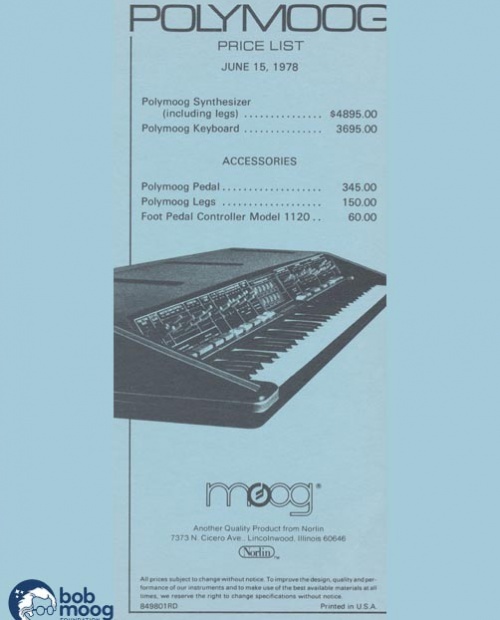 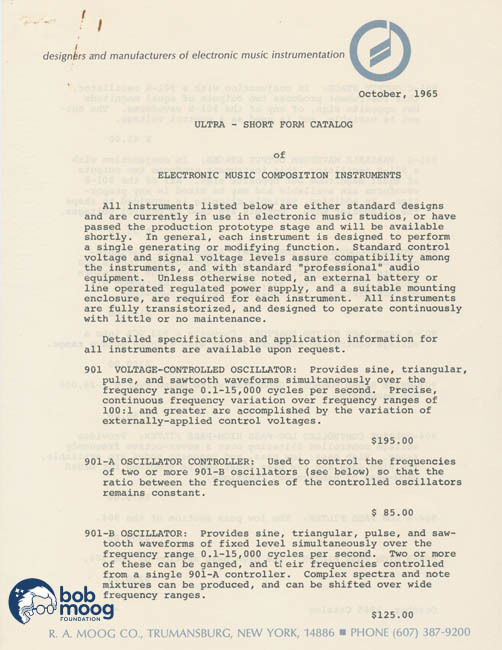 If you have catalogs and product sheets for items that you dont see on this timeline, and you are interested in donating them to the Bob Moog Foundation Archives, please email us at info@moogfoundation.org. We would be thrilled to add them here. 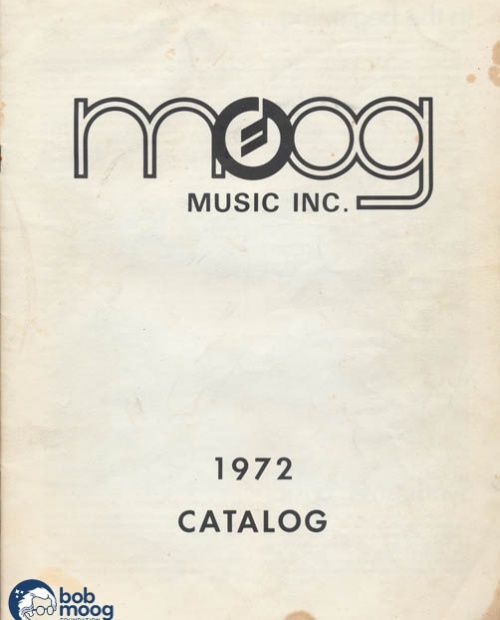 The nearly 70 publications here serve as an important historical resource. 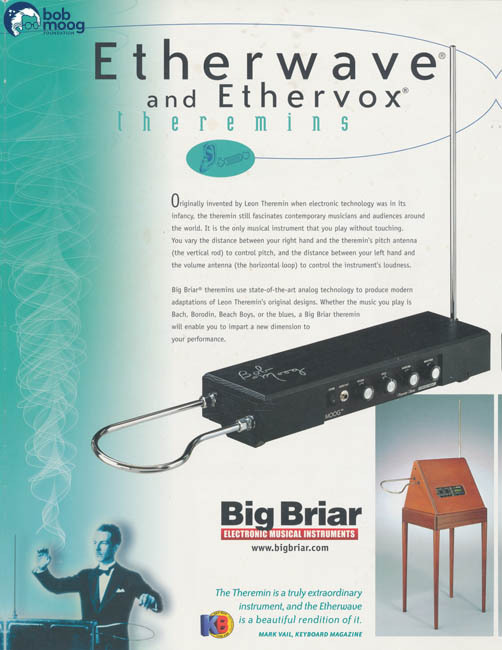 We hope that you will spend some time exploring and considering them, and that you will continue to visit periodically. 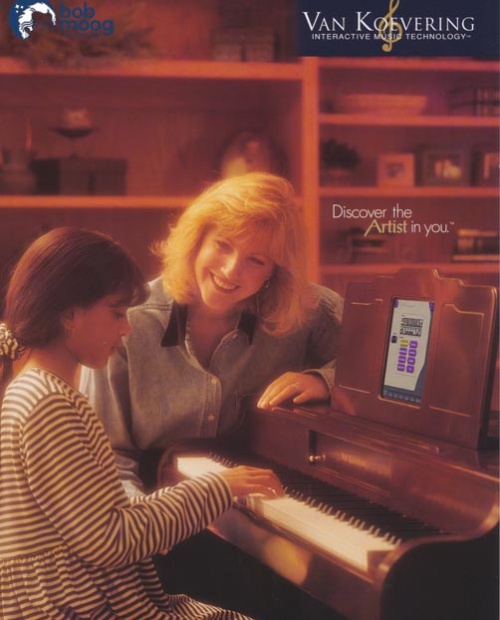 This timeline is a living, breathing document. We will continually be adding to it. Please send any questions or comments to info@moogfoundation.org. 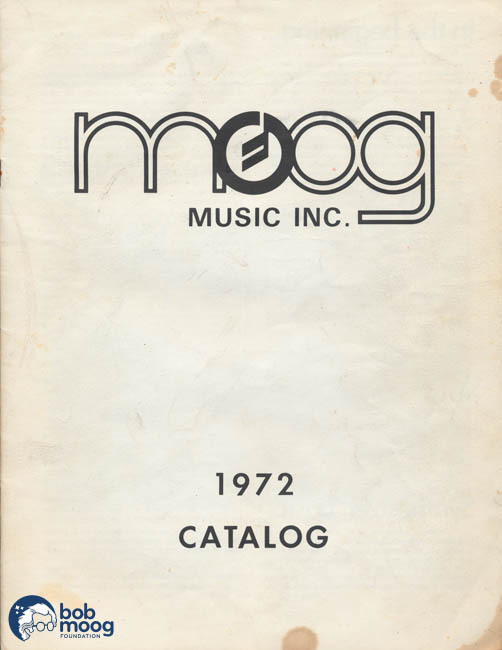 To get the most out of our timeline, please explore the Read More tabs, which will take you to the complete document. 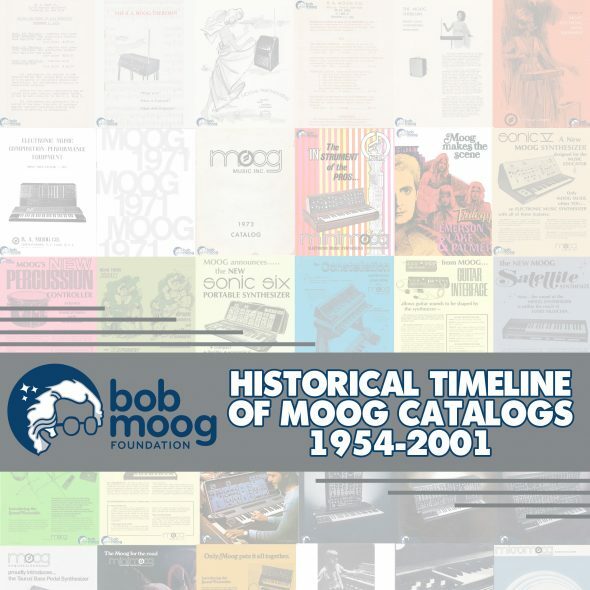 The timeline is based on the vast historical materials in the Bob Moog Foundation Archives. 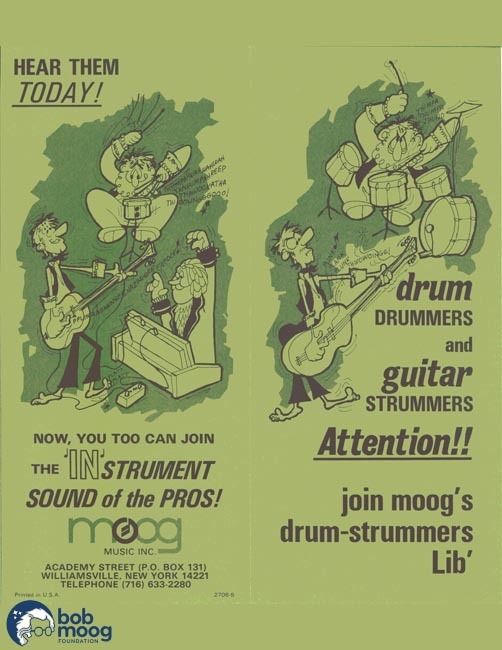 To assist our continued efforts to preserve and share these archives, please make a donation here. Introducing the new Drum Controller and Guitar Interface, Moog Music attempts to expand their user base. 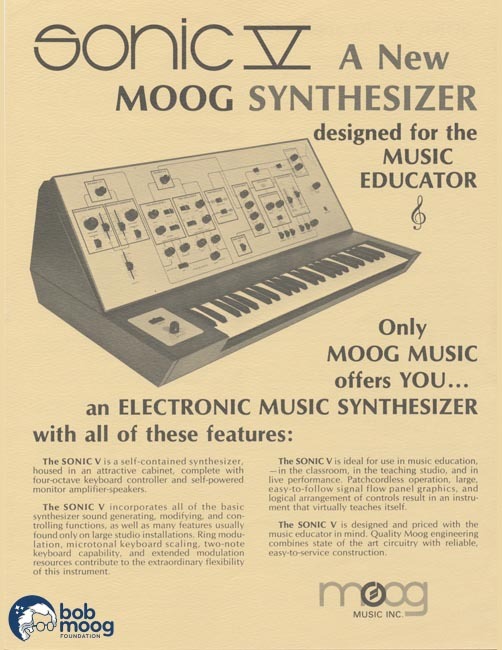 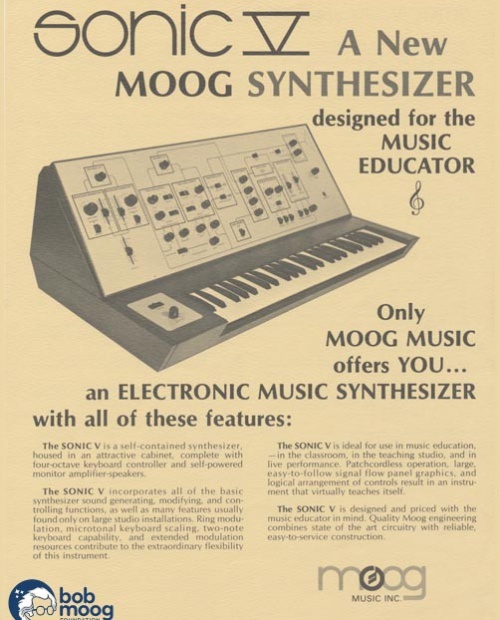 The Sonic V was originally designed for Bill Waytena's Musonics by former R. A. Moog, Co. engineer Gene Zumchak. 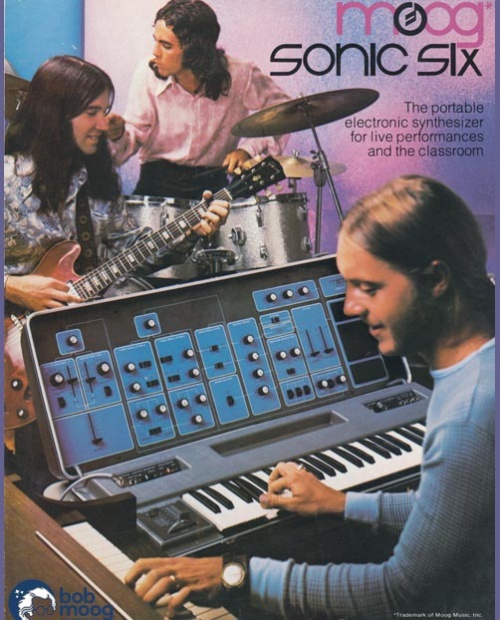 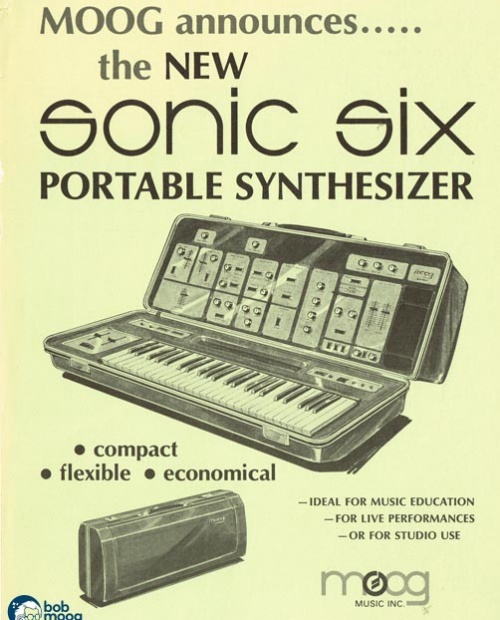 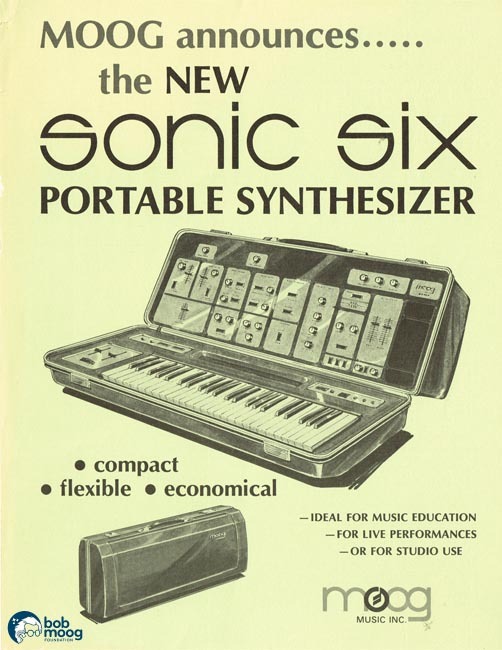 It was the predecessor to the Sonic Six. 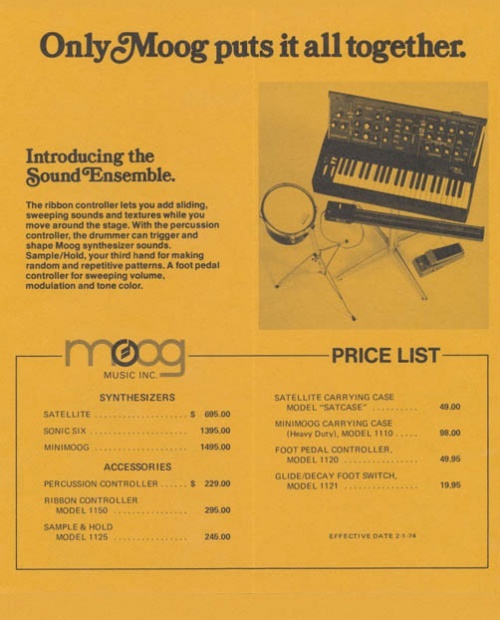 Prices for all modular-related products. 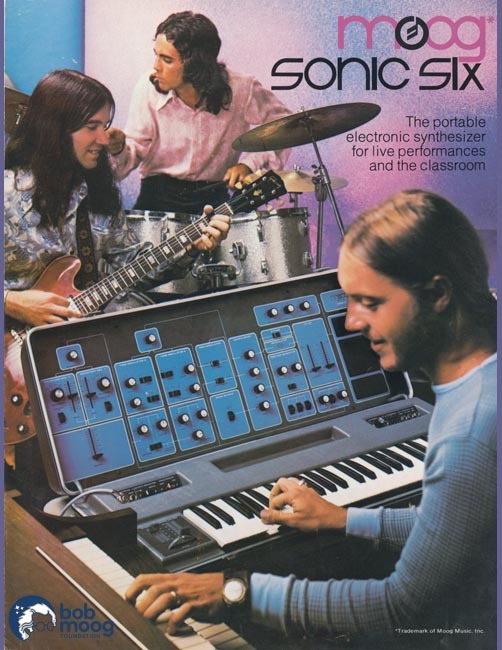 The Sonic V gets redesigned into the Sonic Six using a discarded case design from the Minimoog. 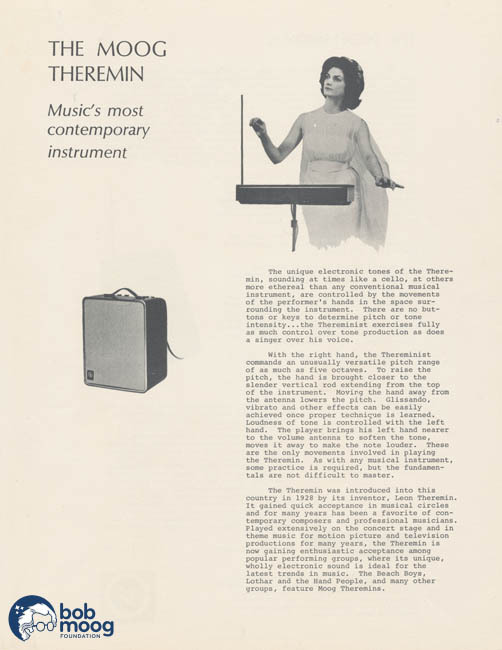 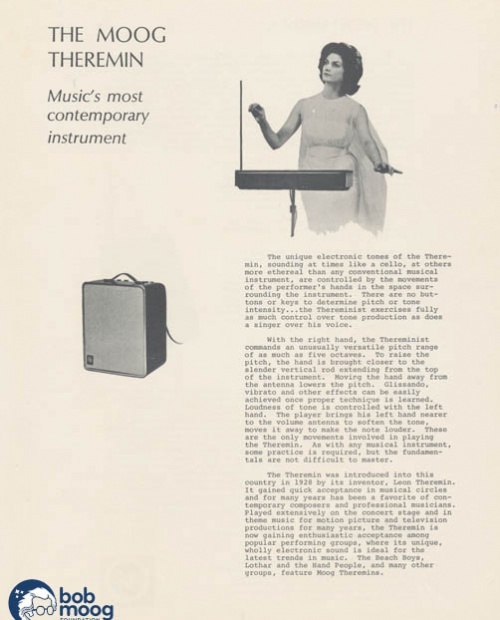 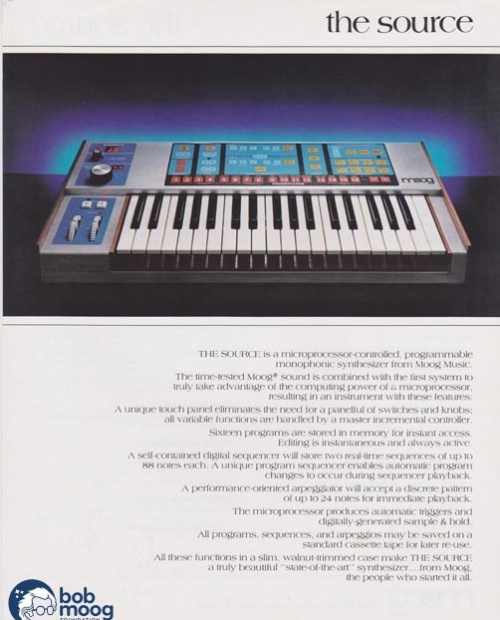 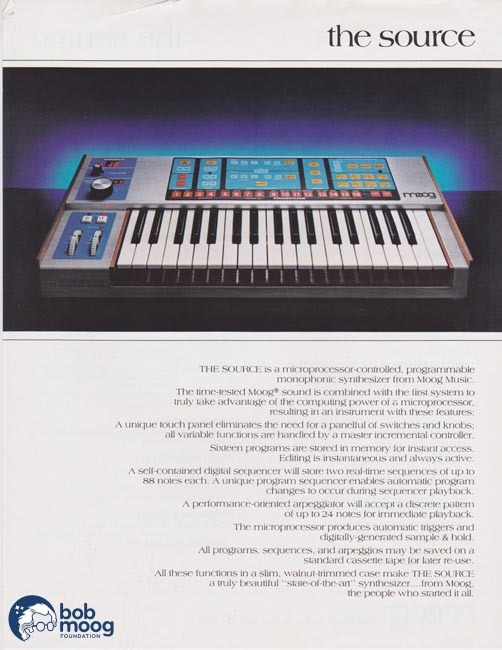 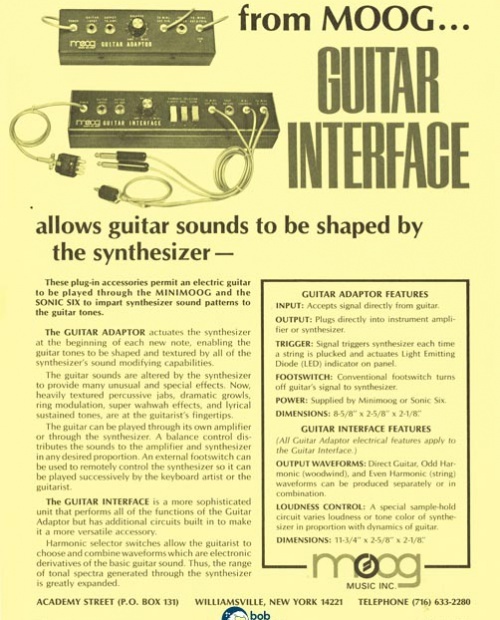 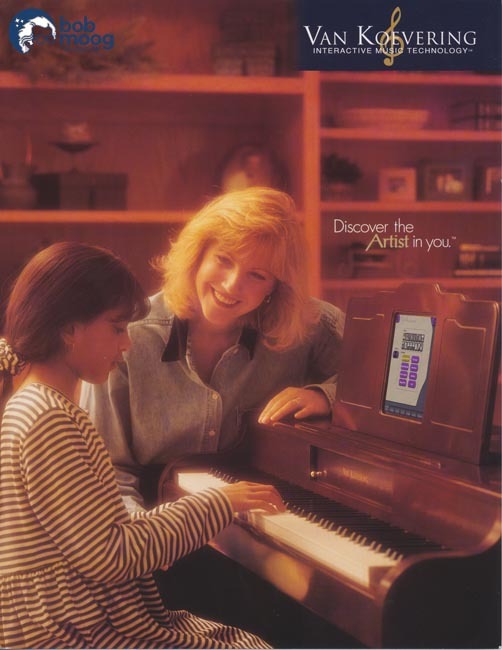 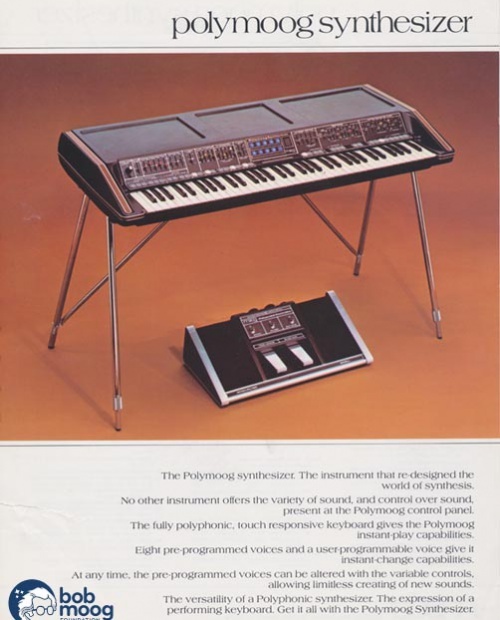 Introduction of a synthesizer designed to be an organ accessory. 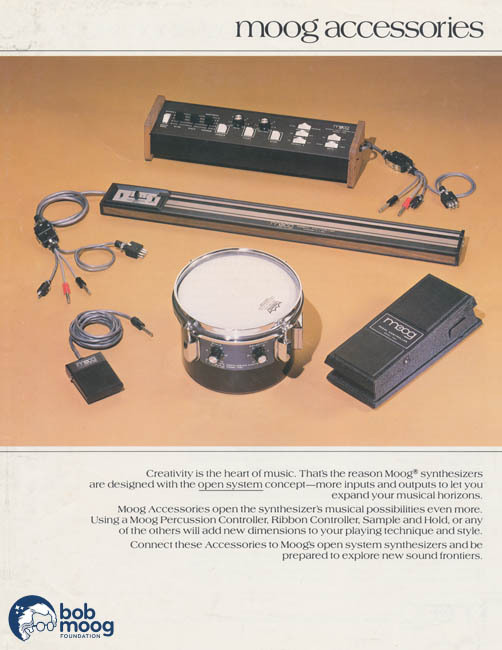 Bundling the drum, ribbon, and foot pedal controllers with a sample/hold unit to provide expanded expressivity to customers looking to reach beyond the functionality of their Minimoogs. 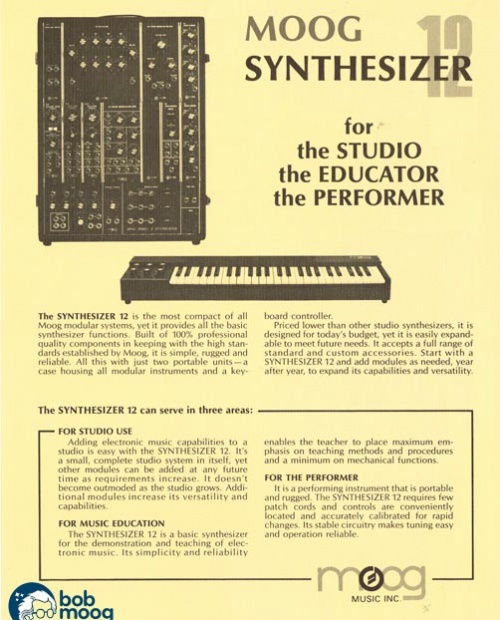 Introduction of the Synthesizer 12, a simplified modular synthesizer, once again appealing to the educational market, among others. 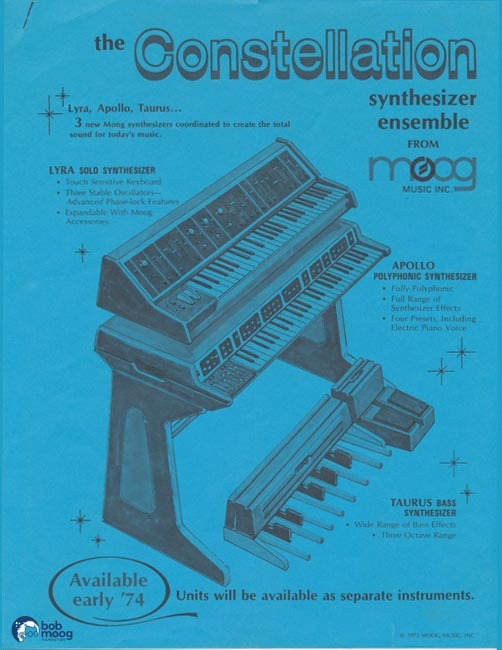 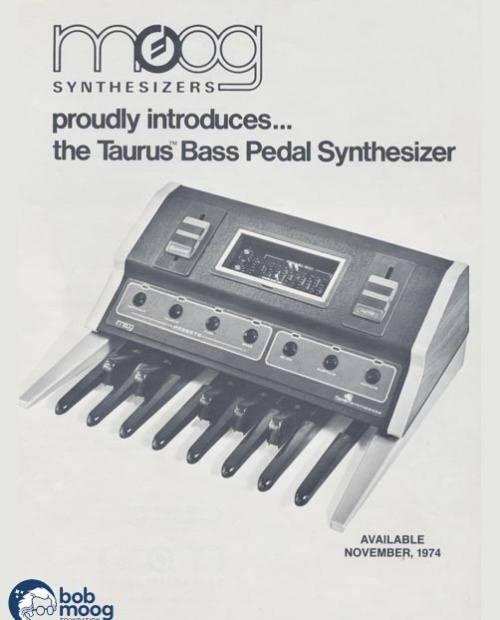 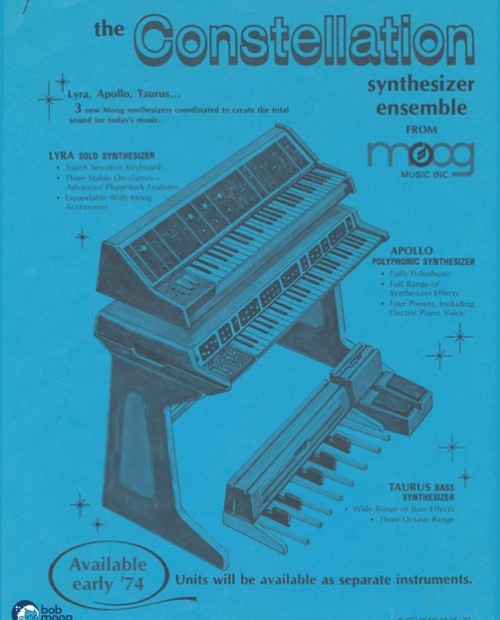 Featuring the monophonic Lyra, the polyphonic Apollo, and the bass pedal Taurus, the Constellation was to be the ultimate in synthesizer functionality for the performer. 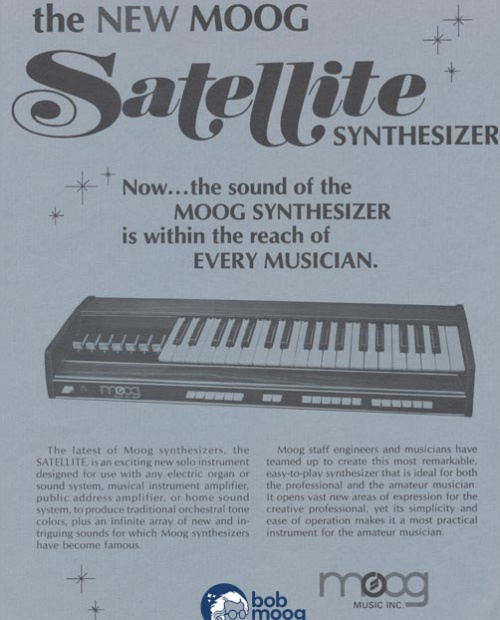 The Constellation was marketed, but never came to fruition. 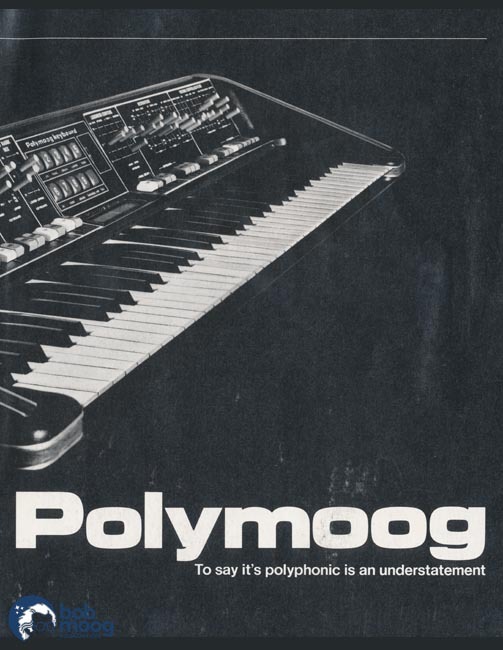 Only one prototype is known to exist. 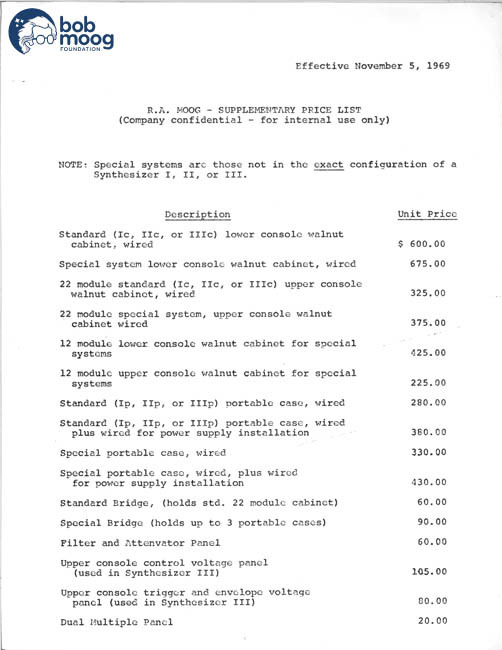 The first re-designed element of the Constellation to be sold as a product. 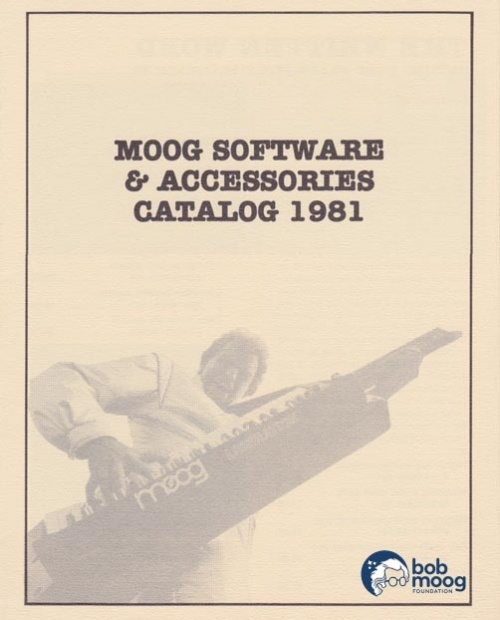 Updated catalog with new design direction. 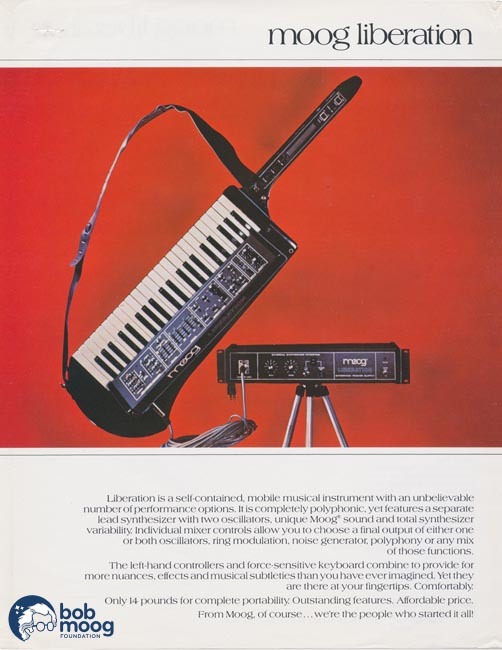 The Moog Liberation was designed to be a performance synthesizer for keyboard players who wanted to get out from behind a stack of keyboards. 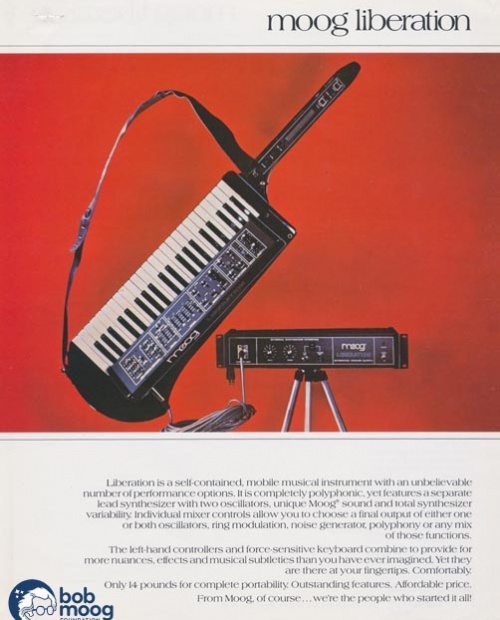 Based off of the "SSK" design that eventually became the Realistic MG-1, the Liberation provided a lot of functionality in a mobile format. 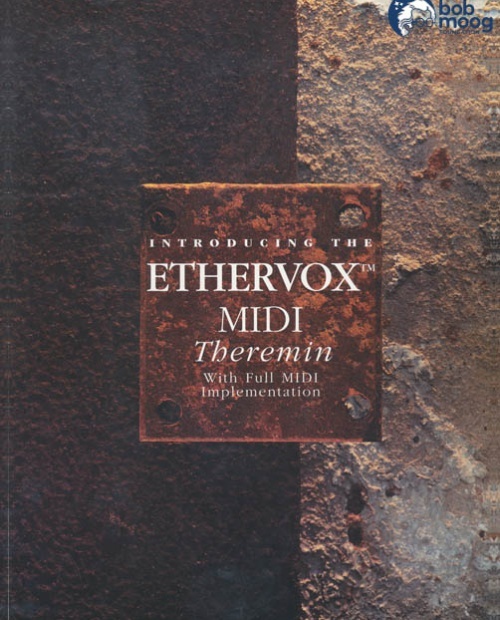 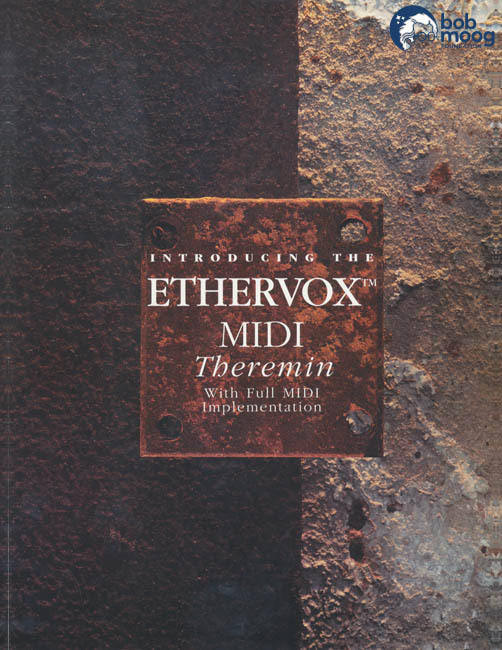 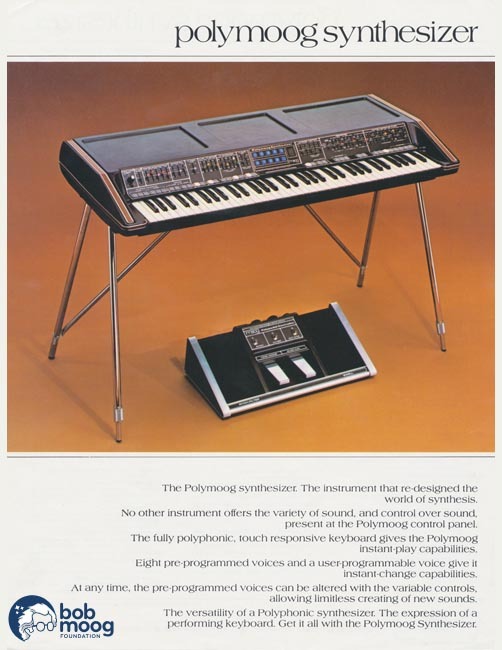 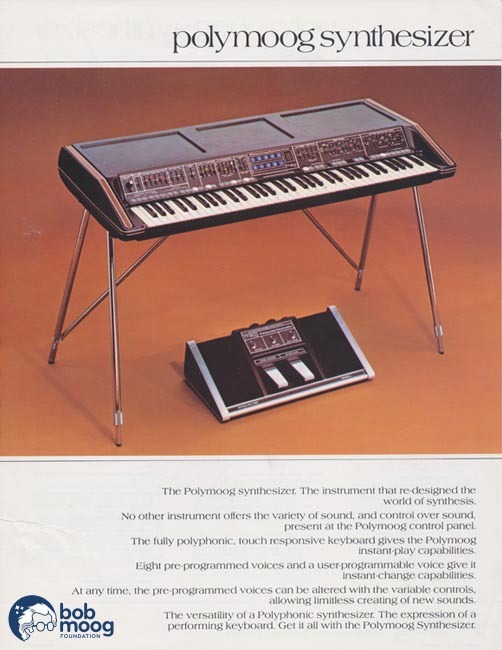 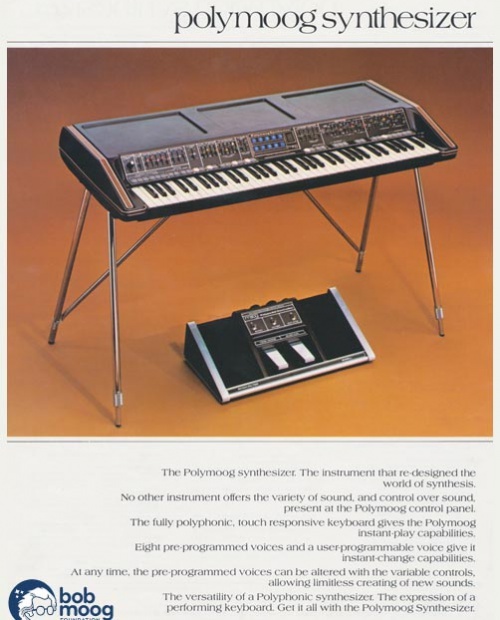 In the late 70s, polyphonic synthesizers that provided a number of emulative sounds became quite popular. 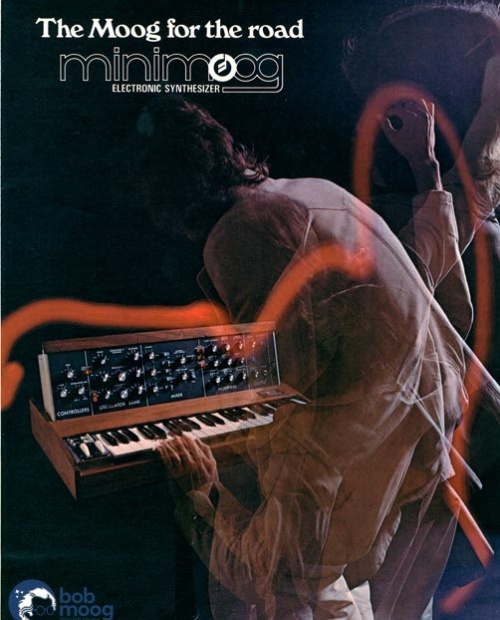 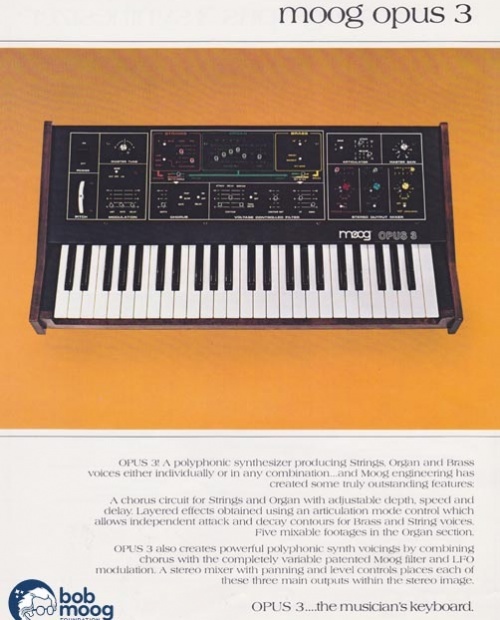 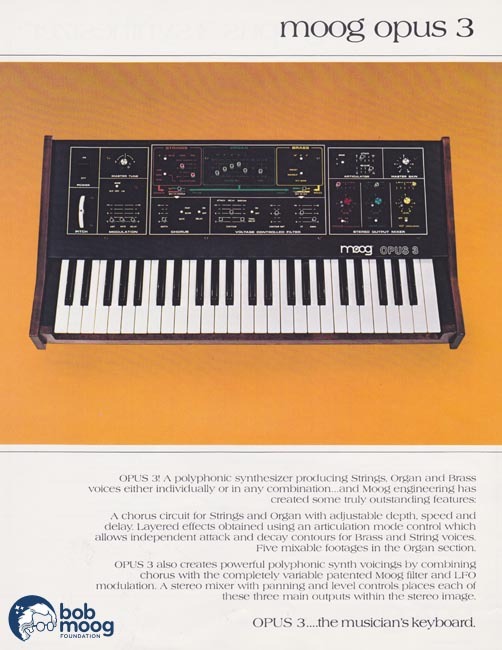 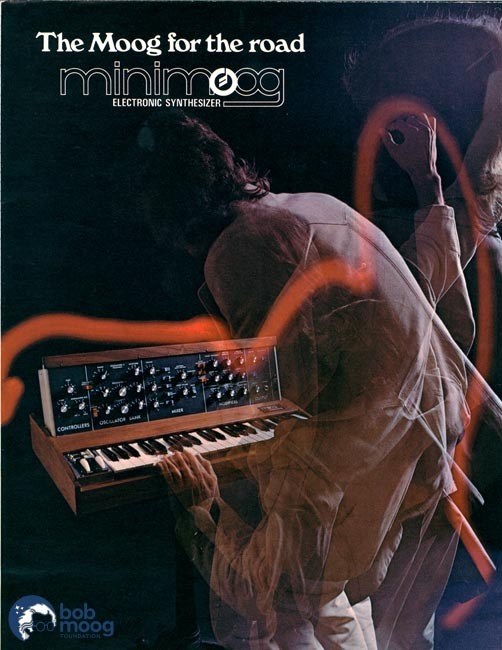 Moog Music addressed this market with the Opus 3, a fully-polyphonic synthesizer that provided string section, organ, and brass section sounds. A flyer for the soon-to-be-revamped Taurus pedal. 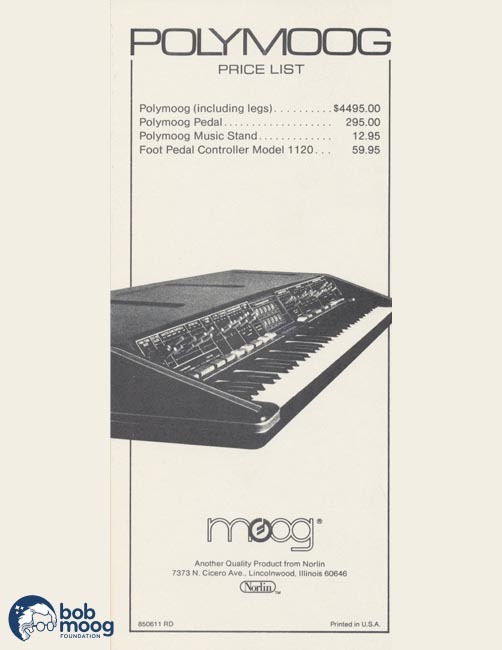 In 1981, Moog Music ceased production of the Minimoog, and introduced a new "modern" synthesizer intended to be their flagship monosynth. 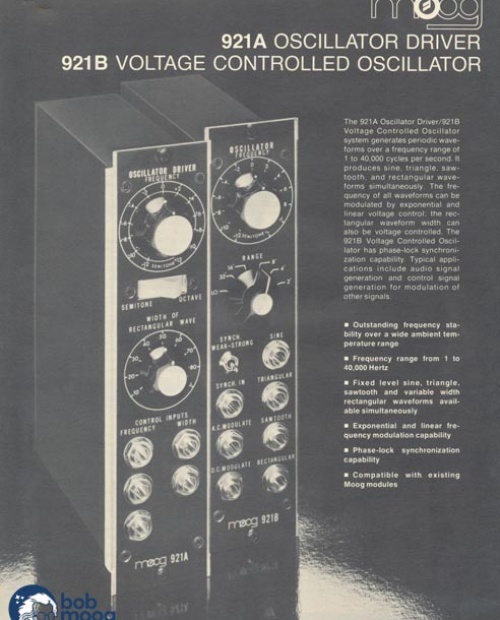 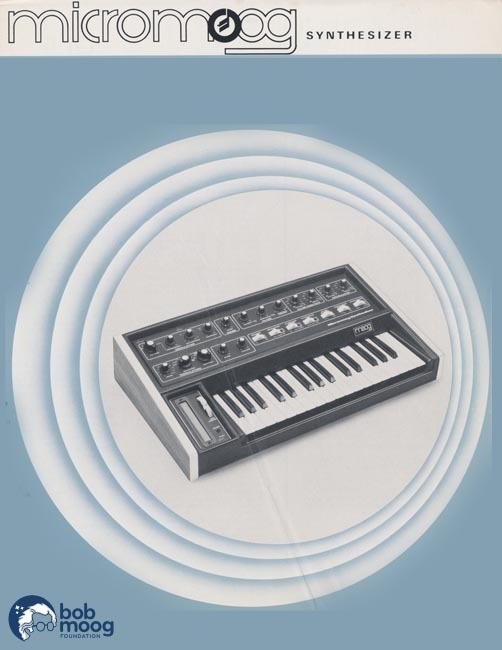 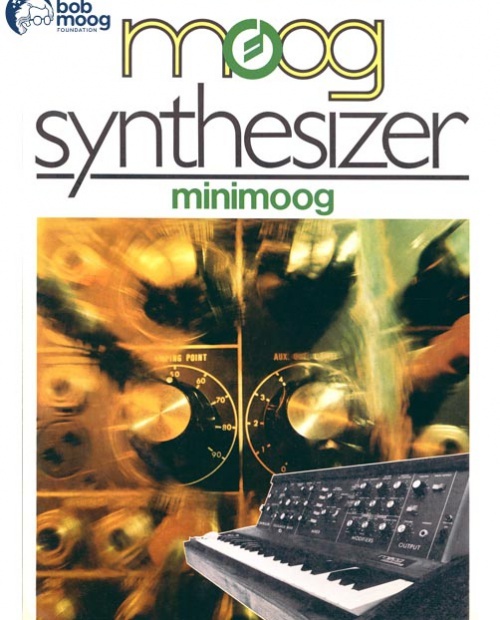 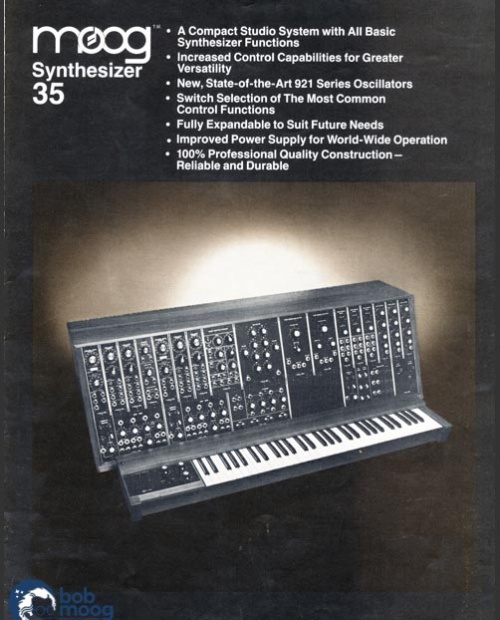 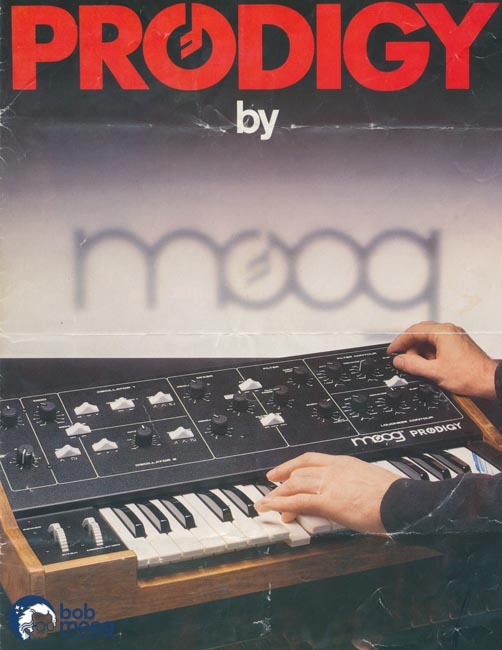 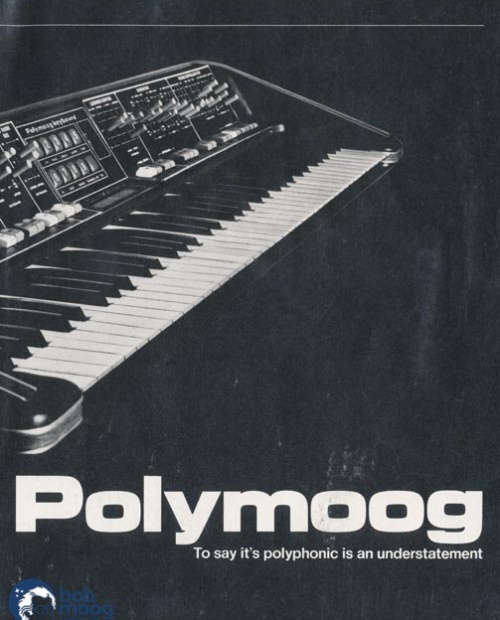 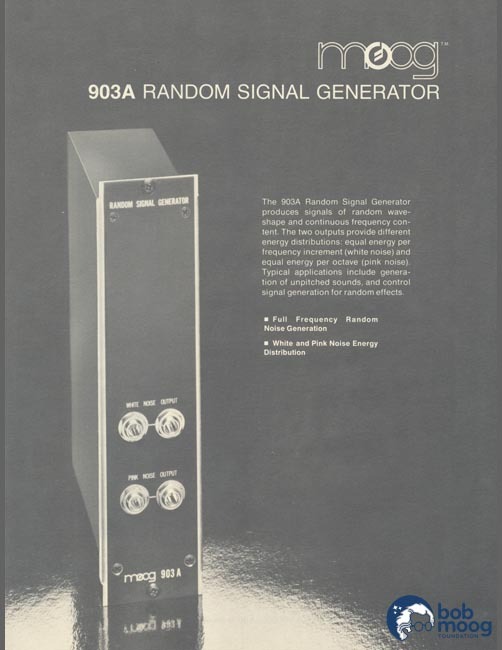 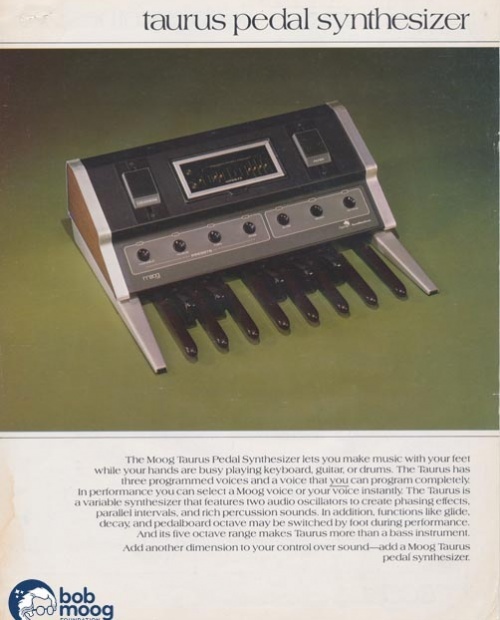 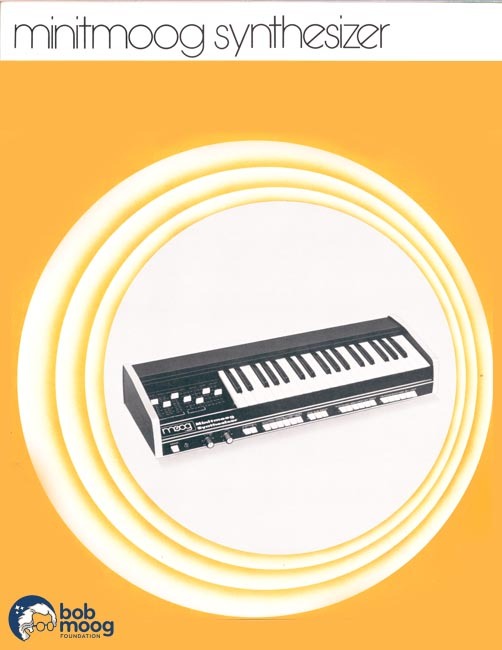 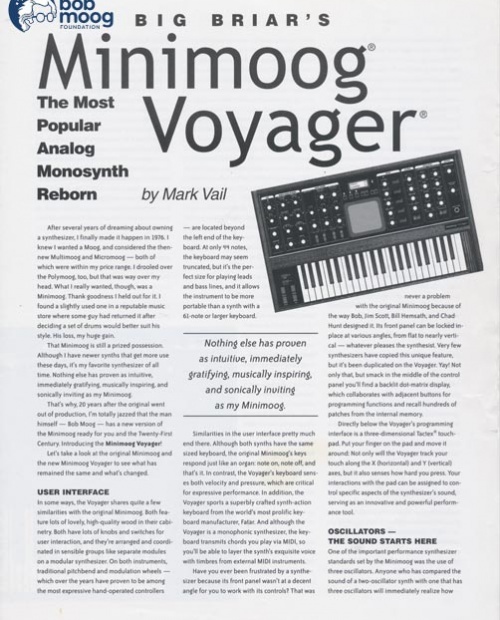 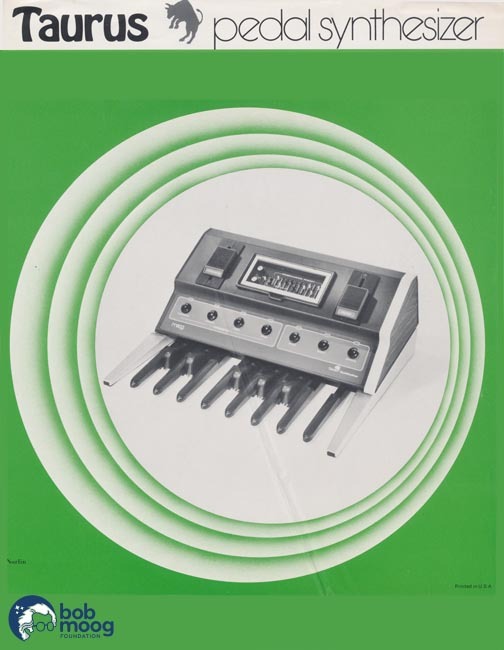 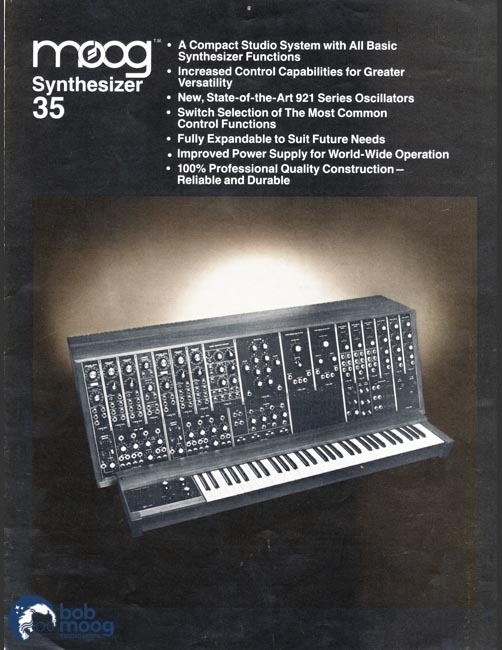 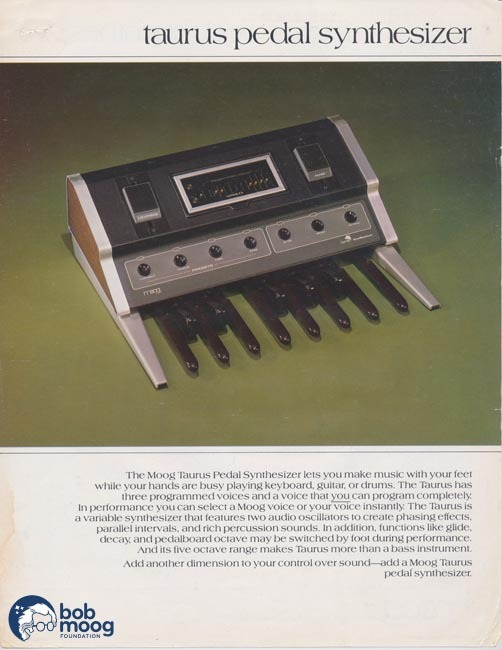 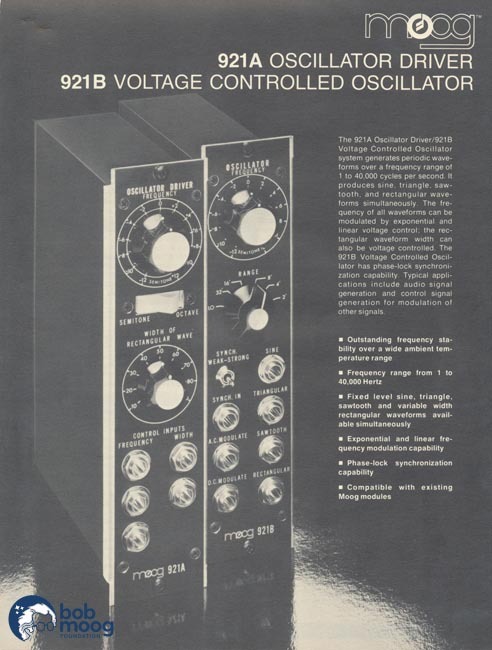 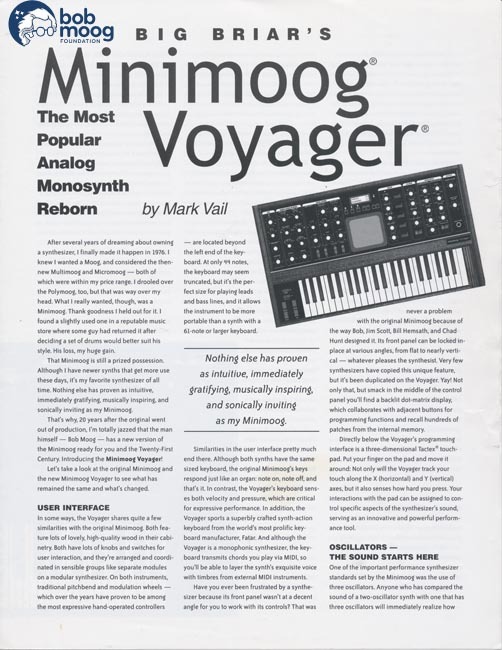 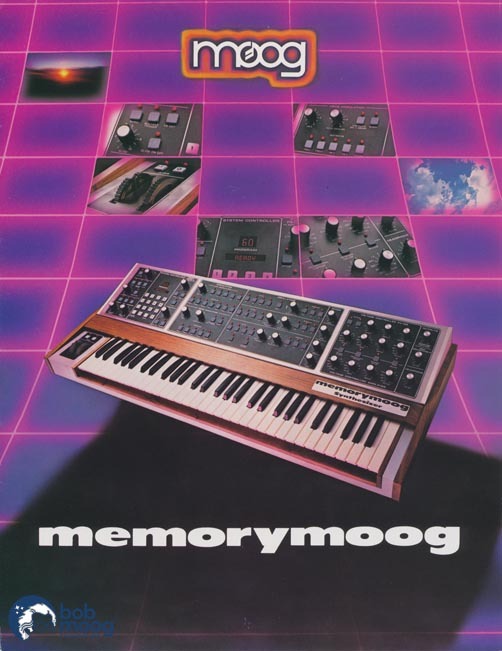 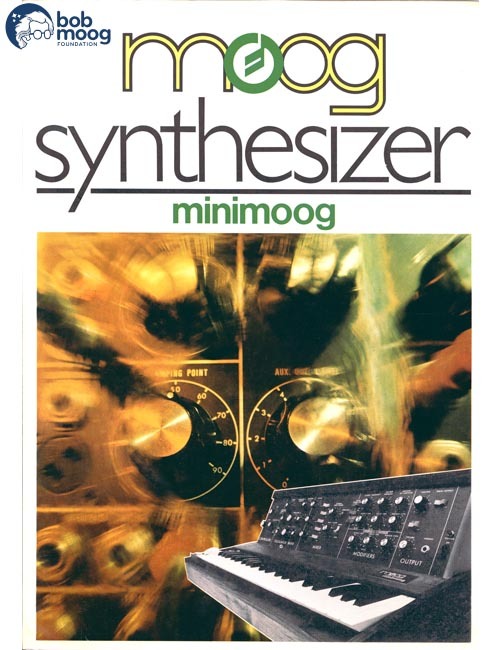 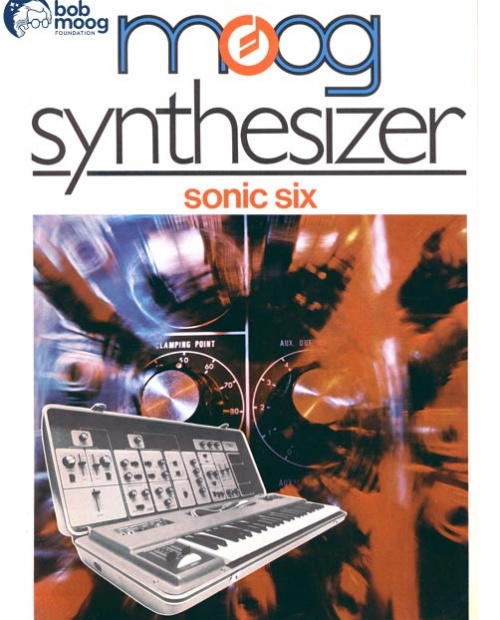 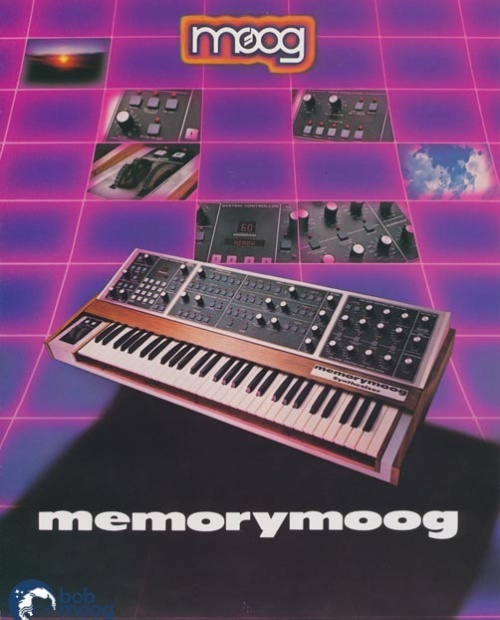 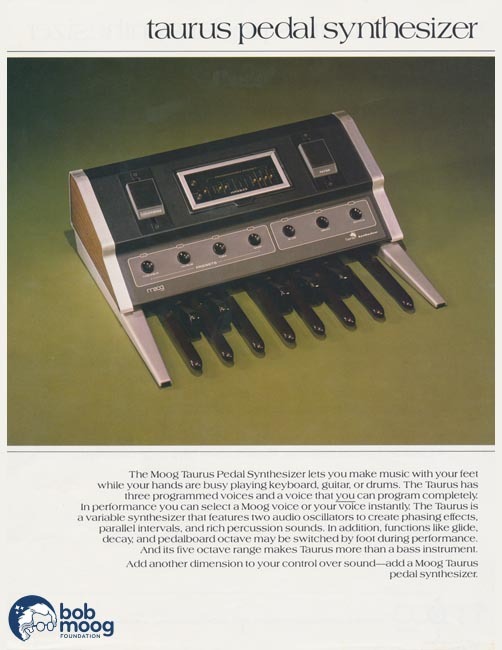 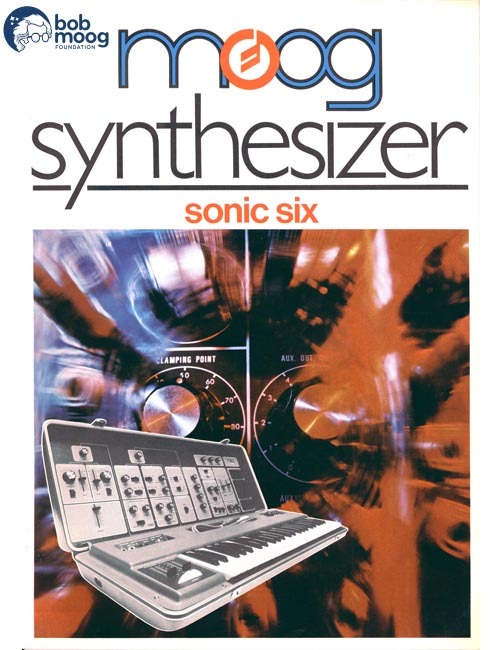 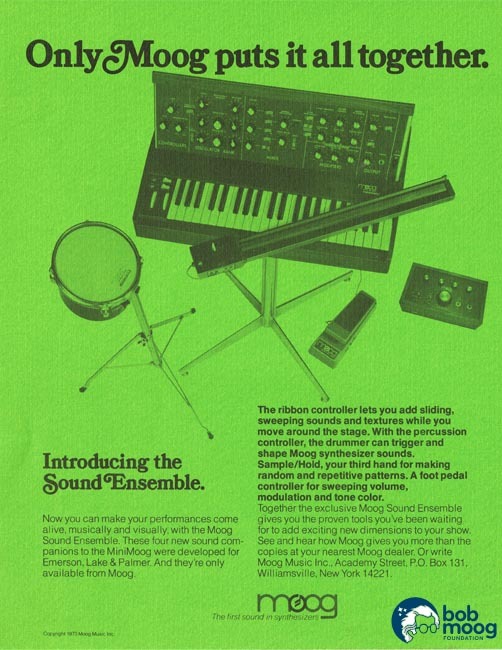 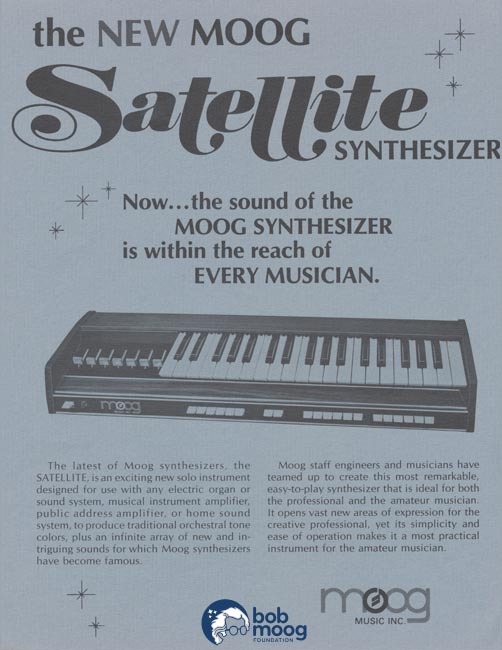 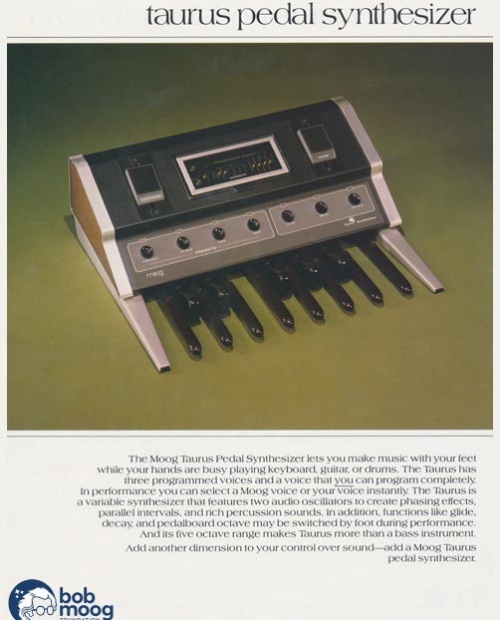 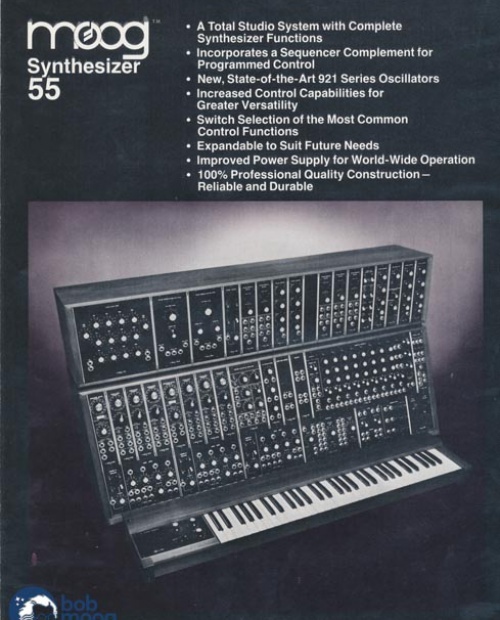 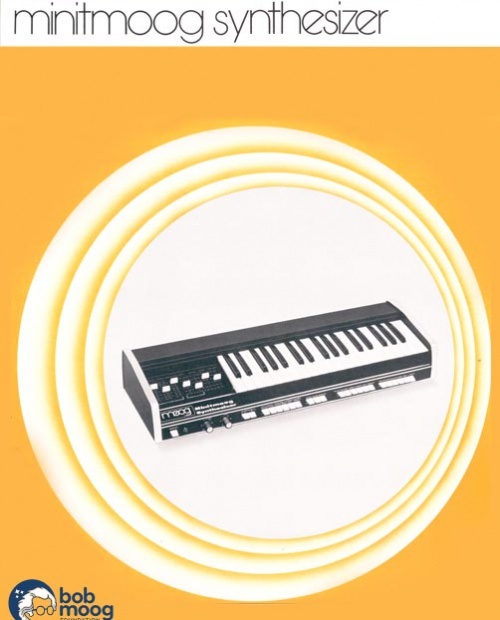 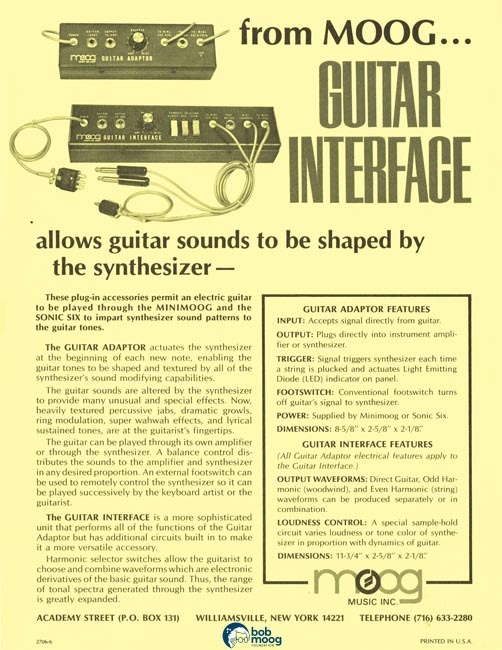 Featuring futuristic features like a mylar touch control panel, and single-knob functionality as well as the trademark Moog sound, the Source was a unique combination of tradition and progression.